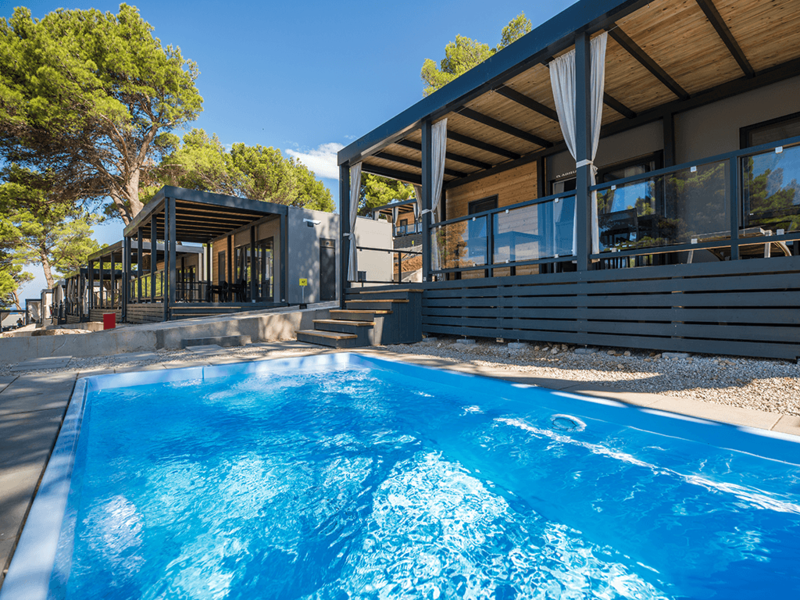 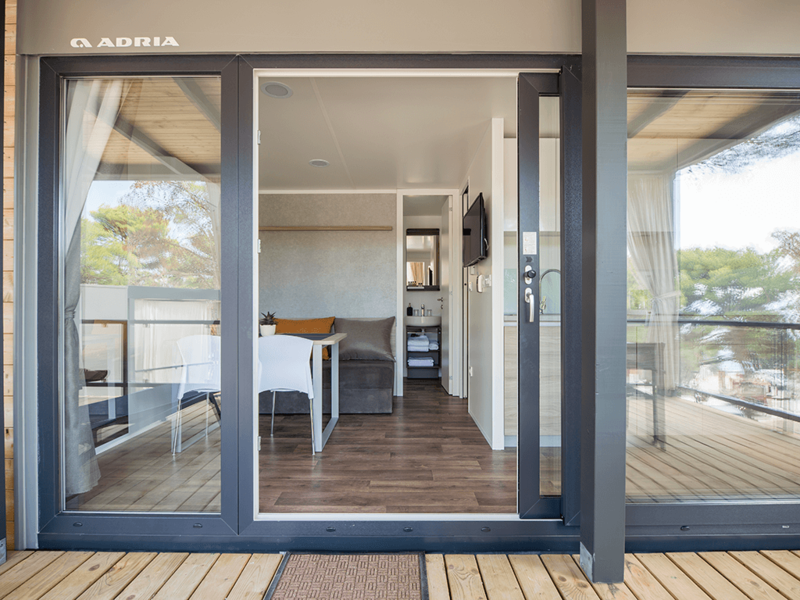 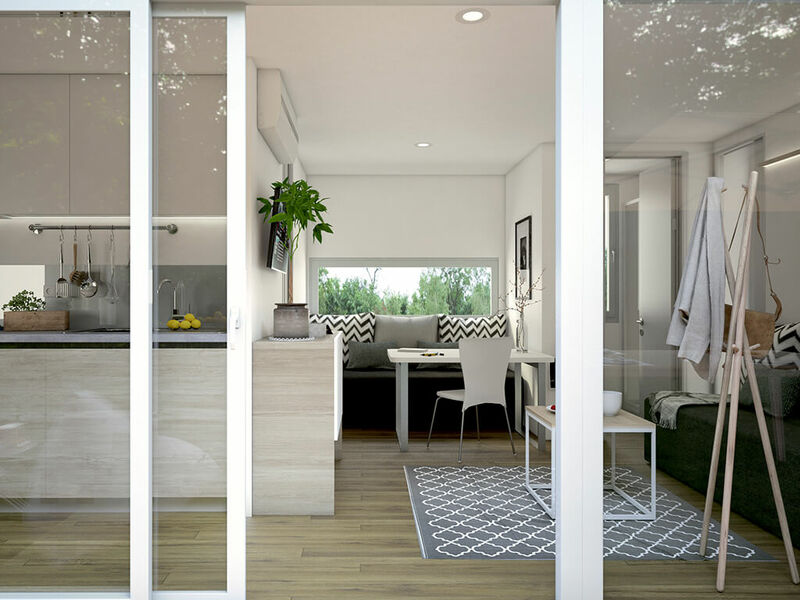 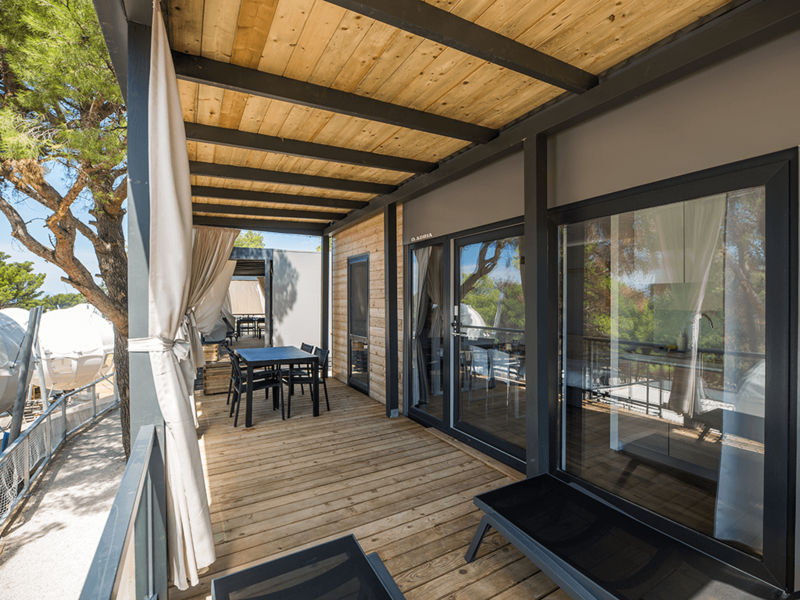 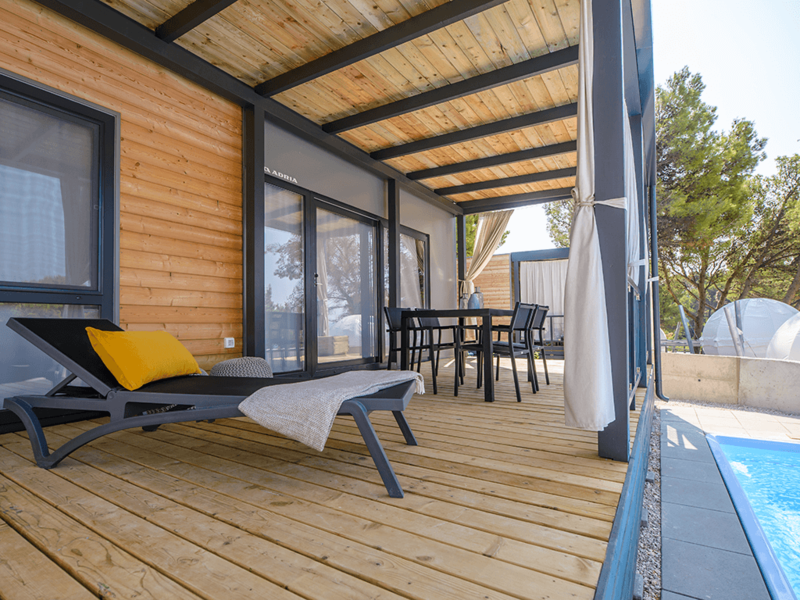 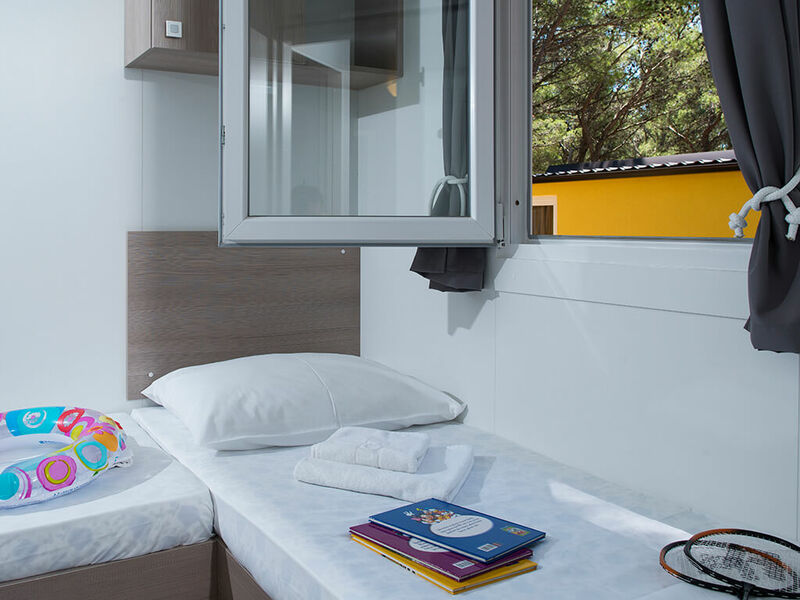 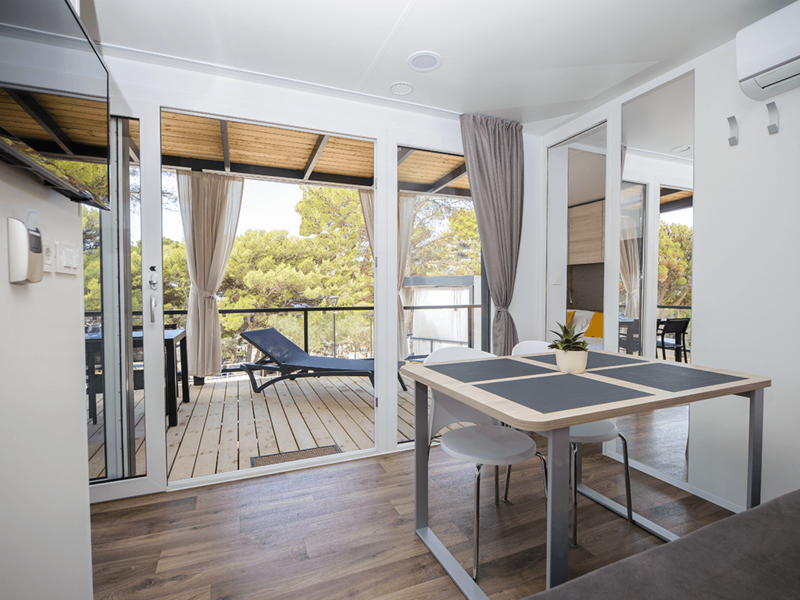 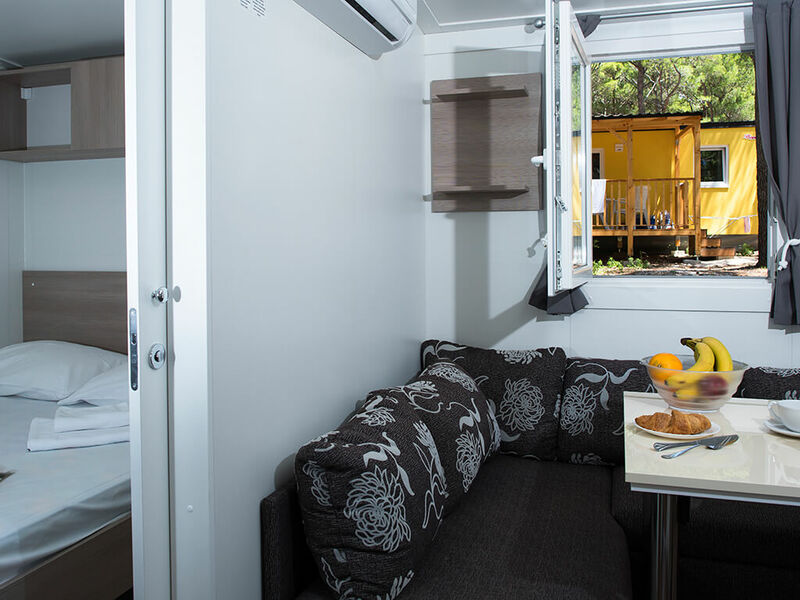 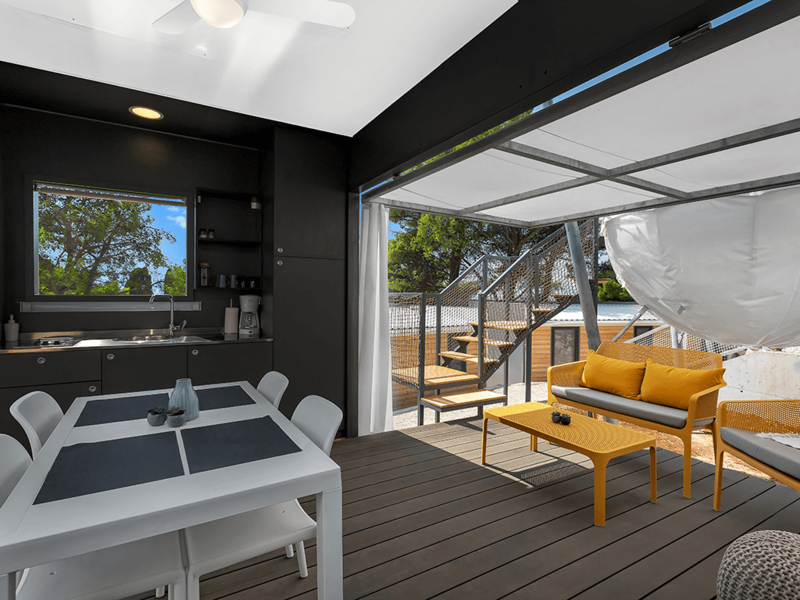 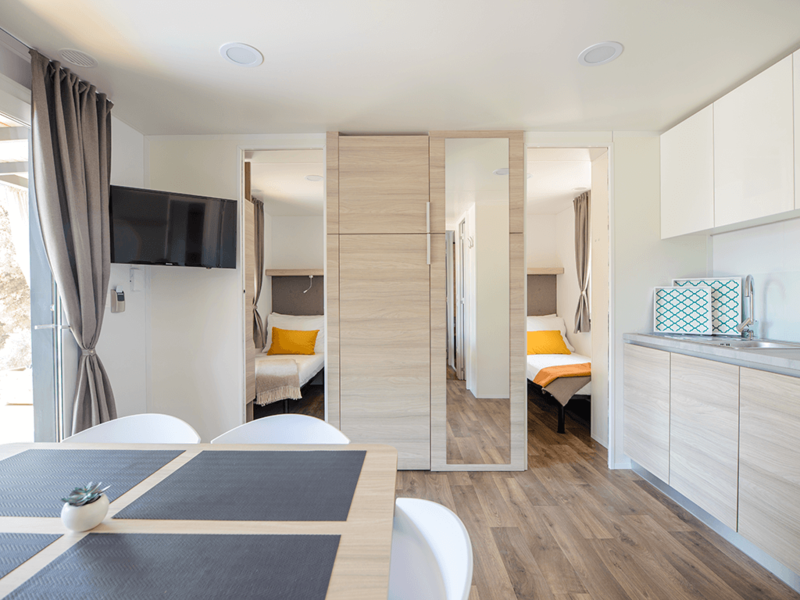 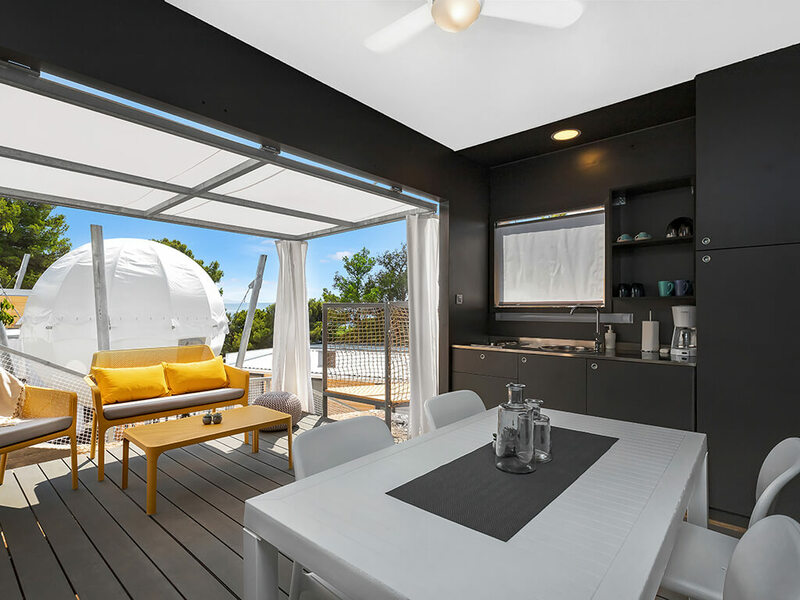 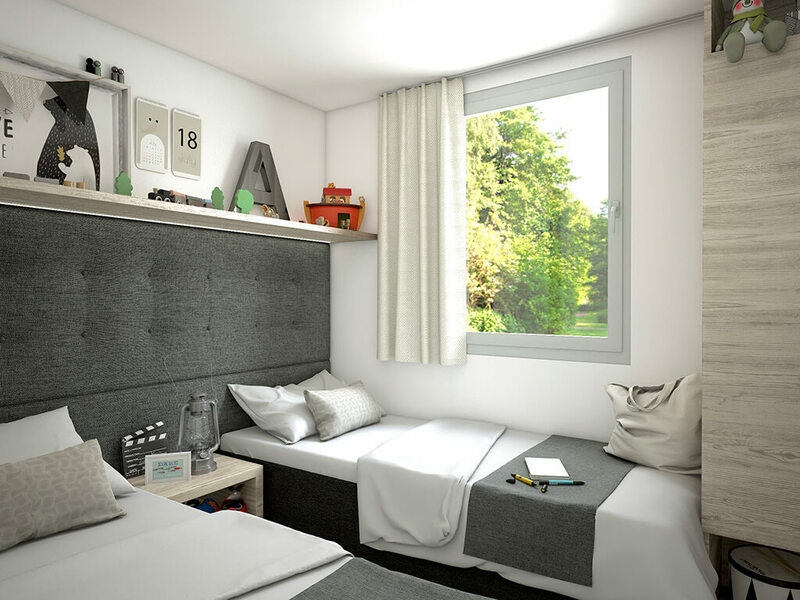 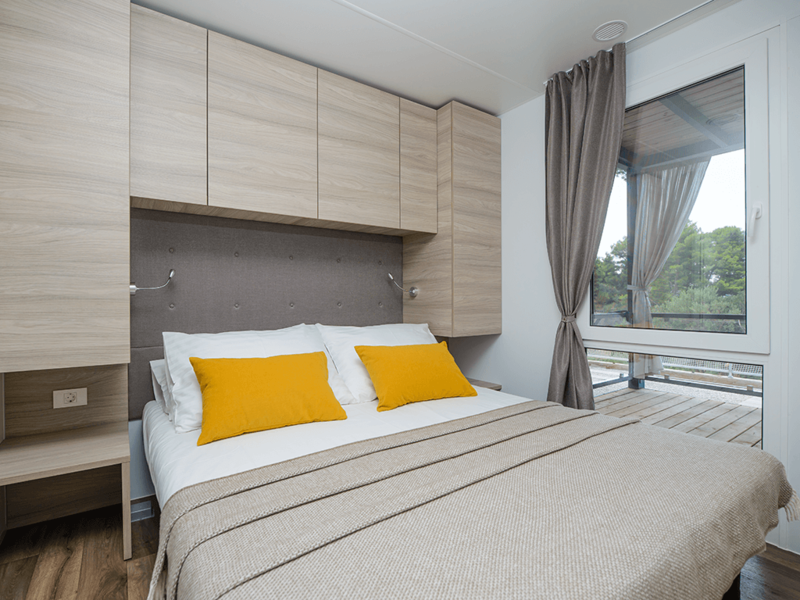 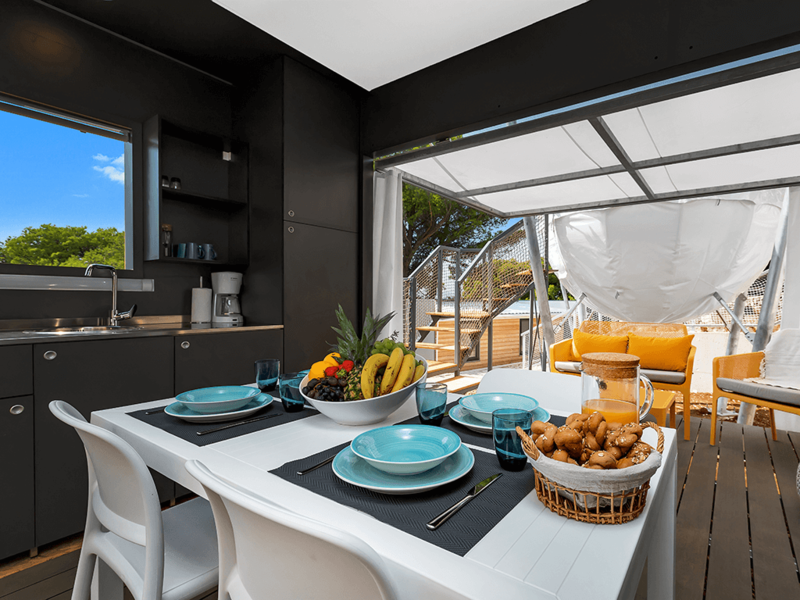 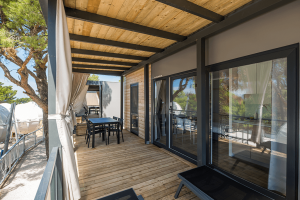 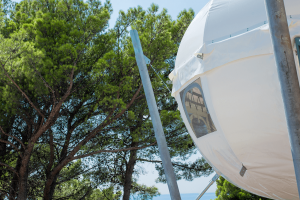 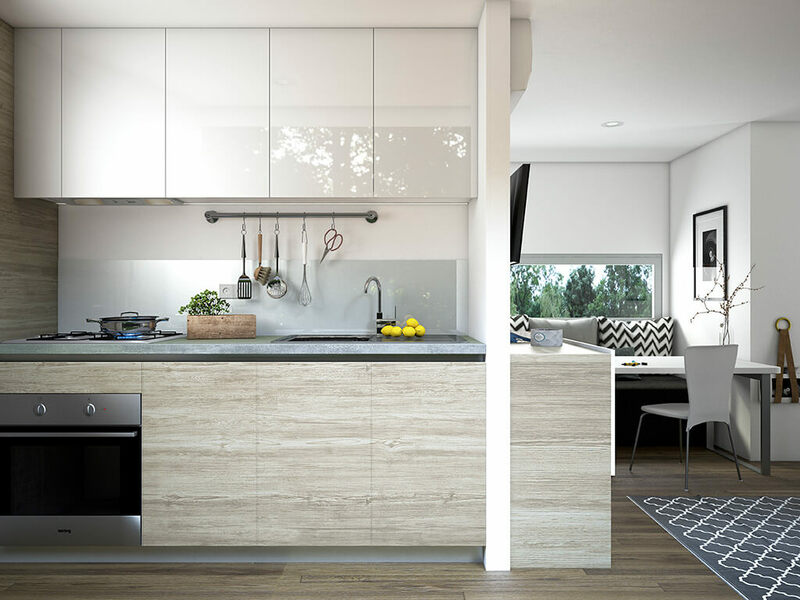 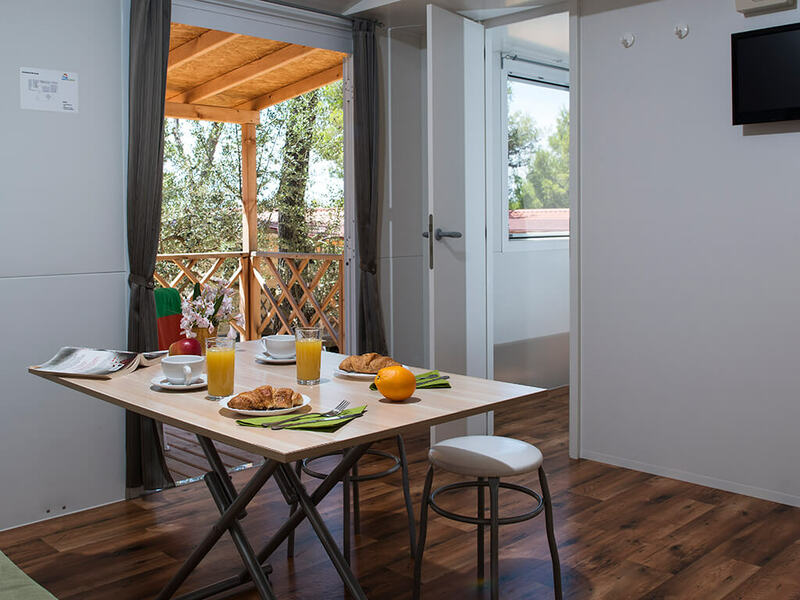 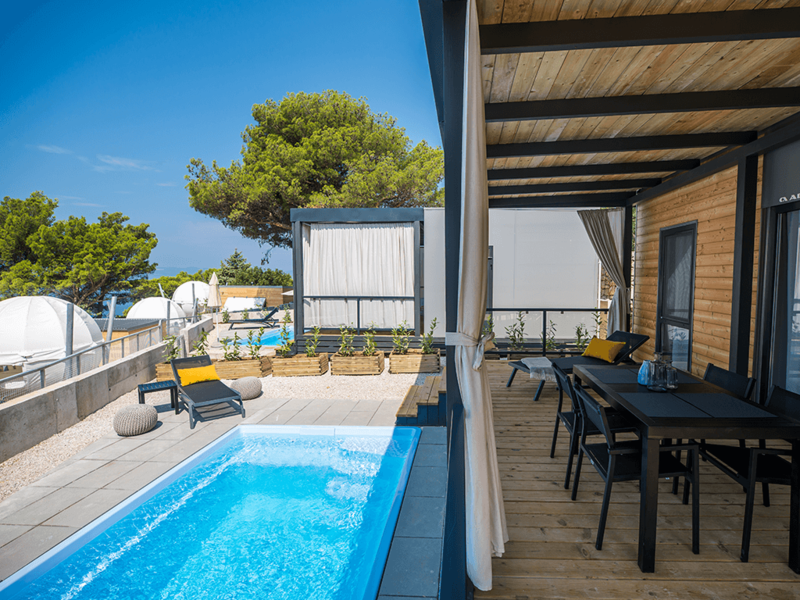 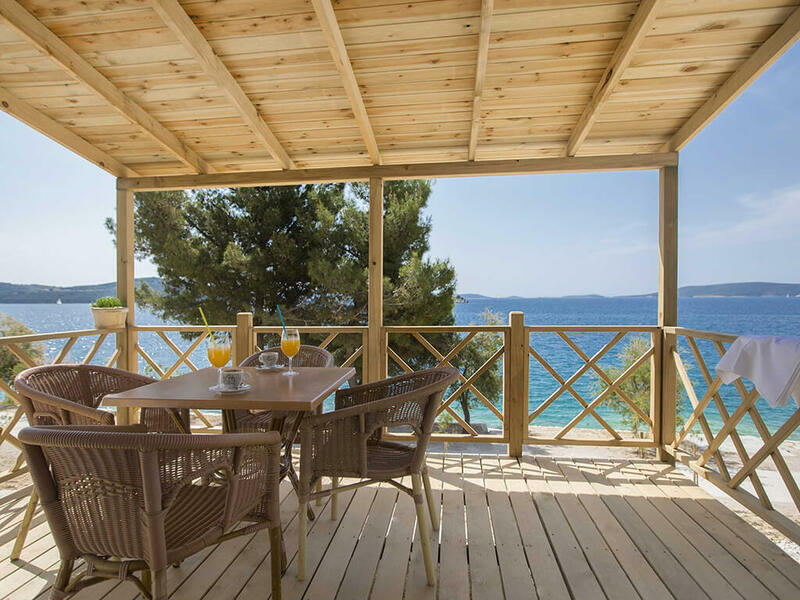 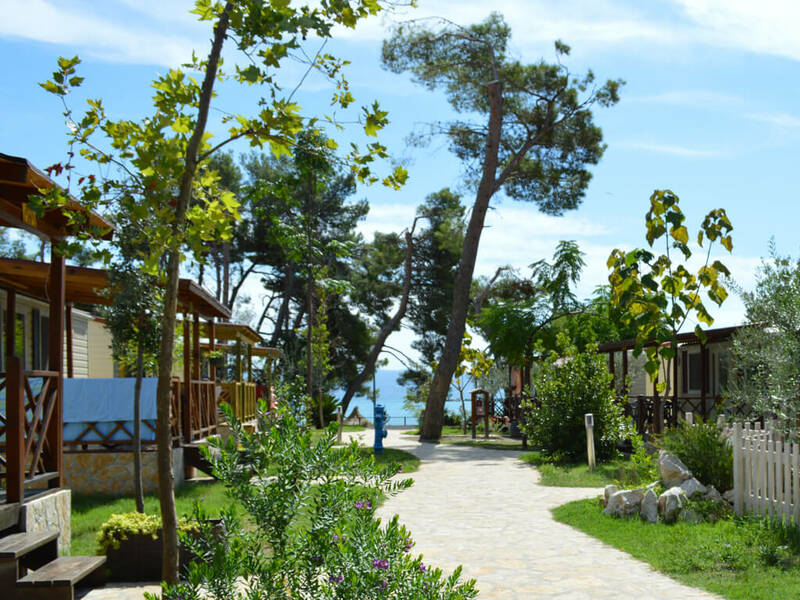 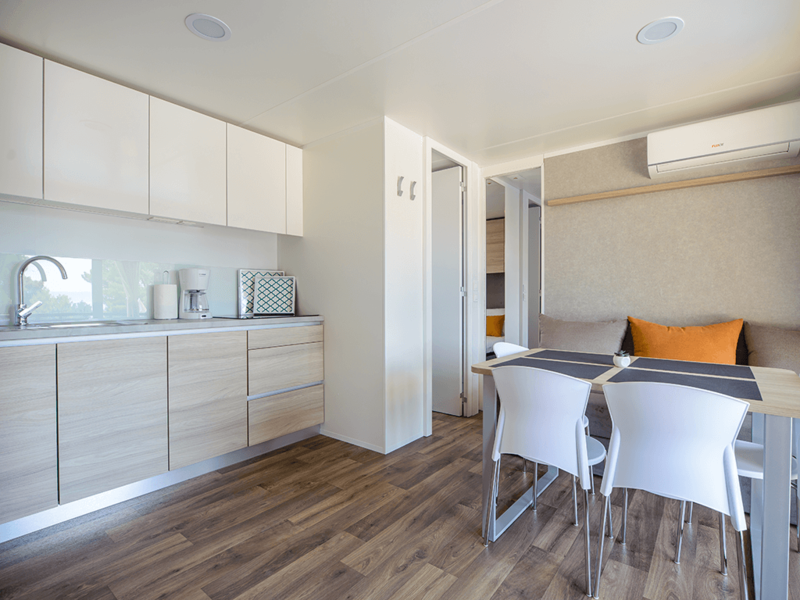 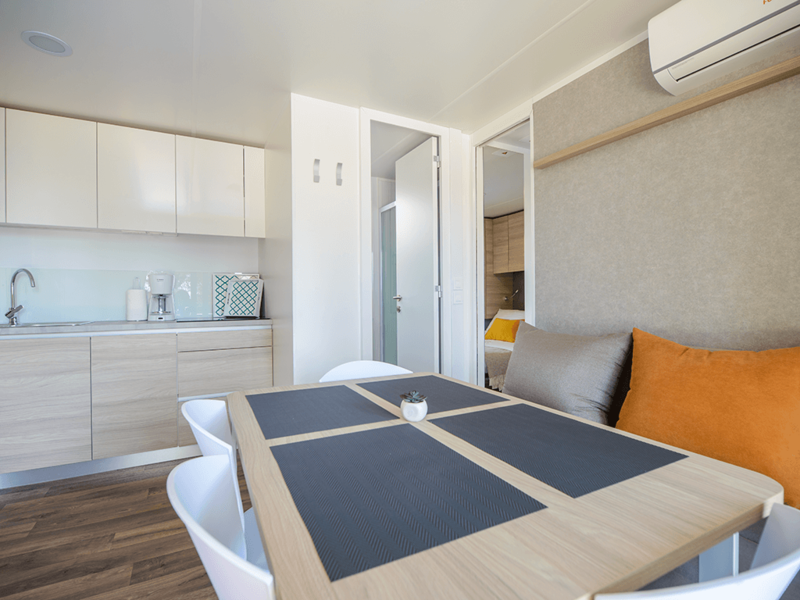 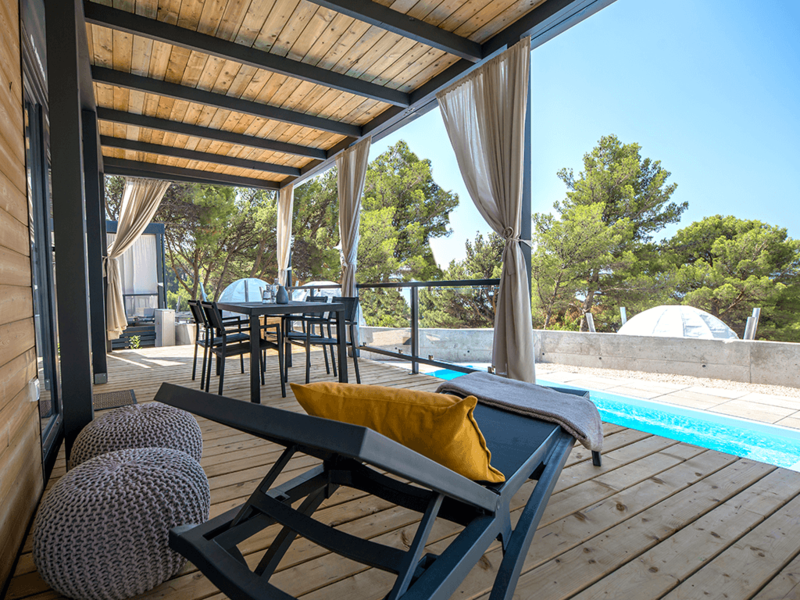 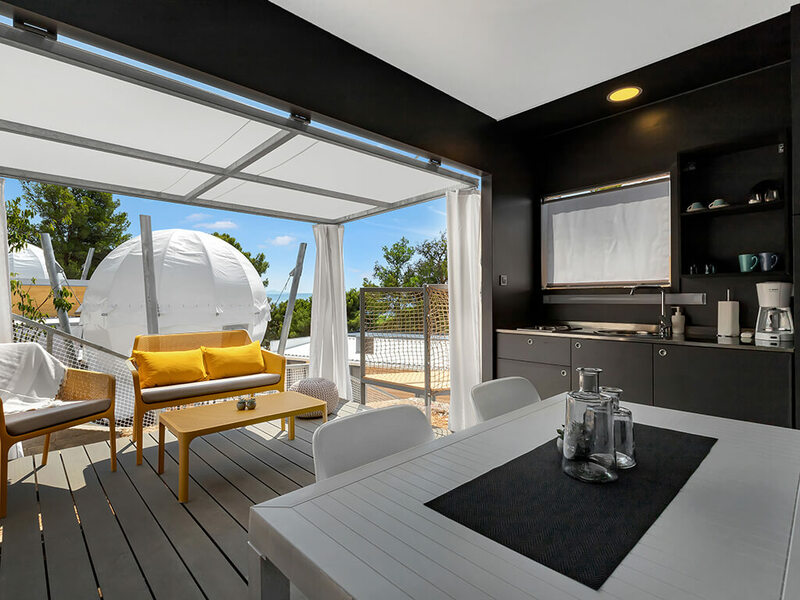 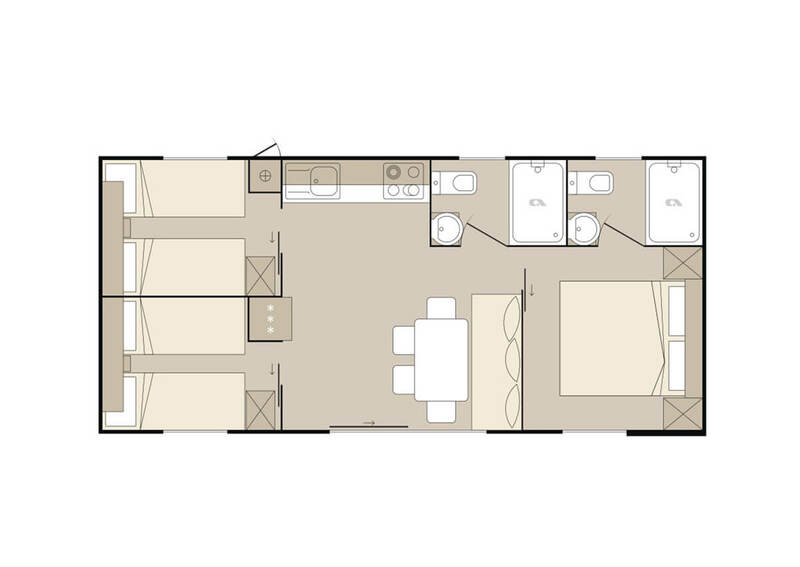 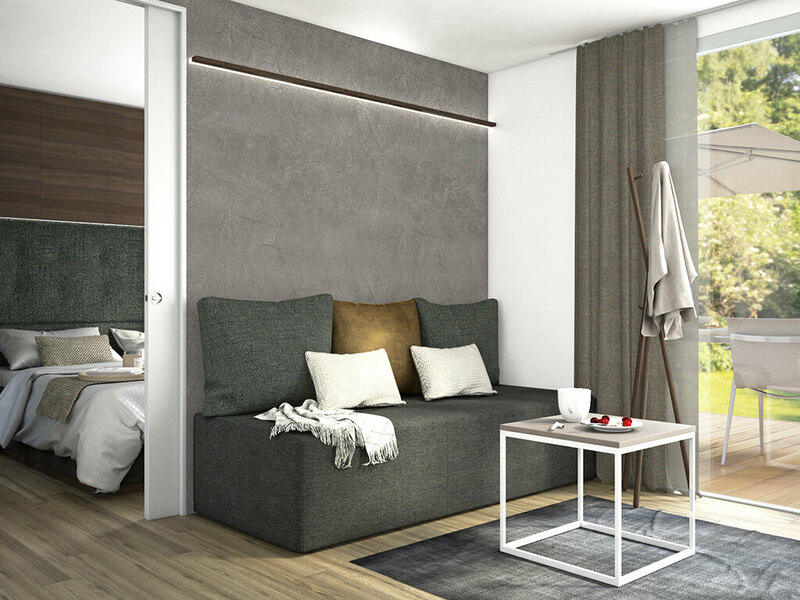 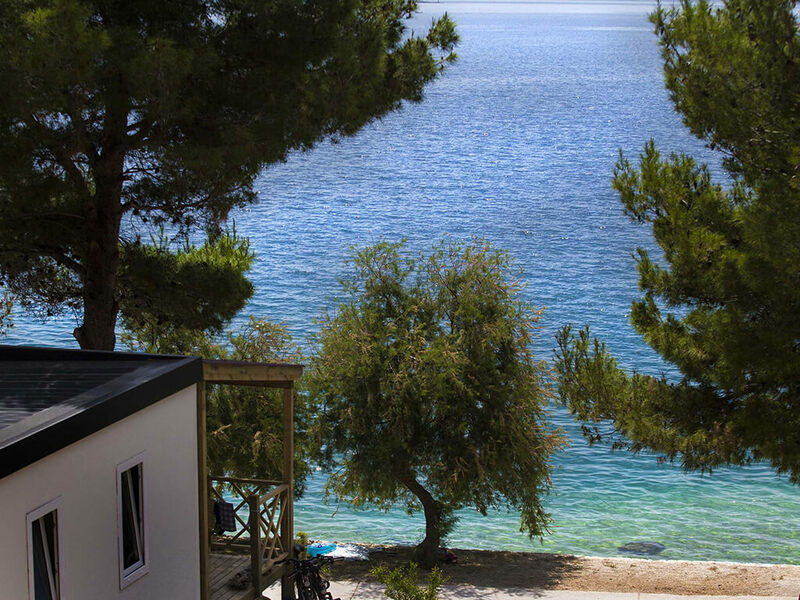 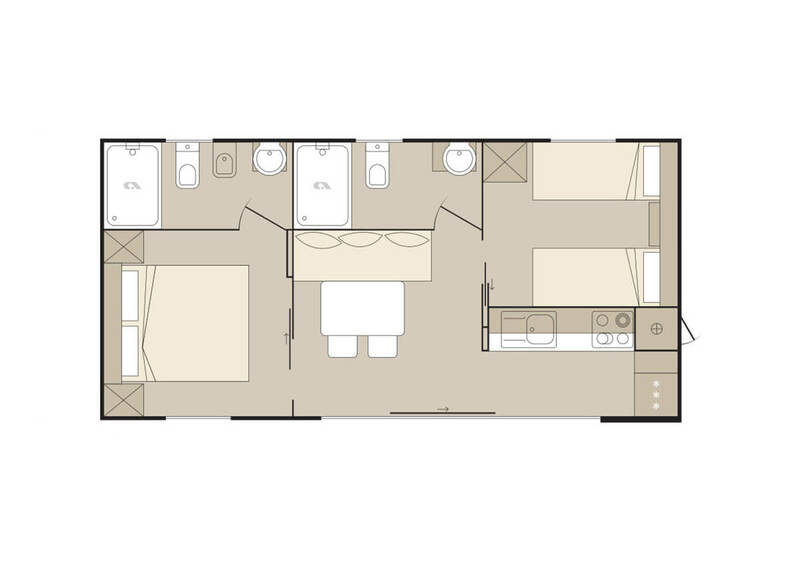 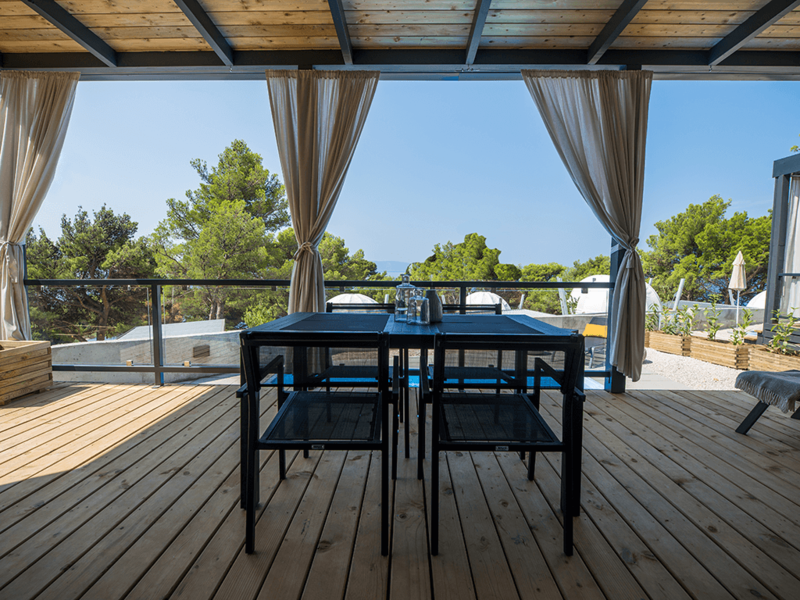 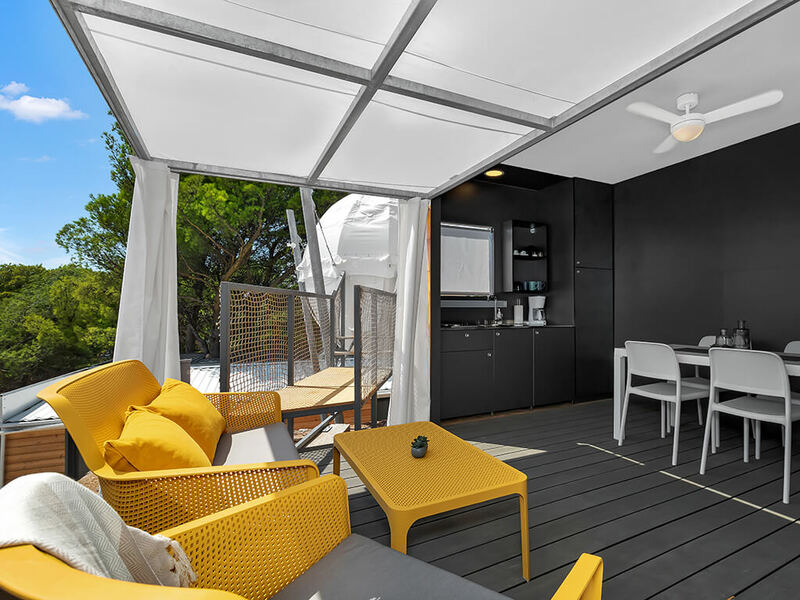 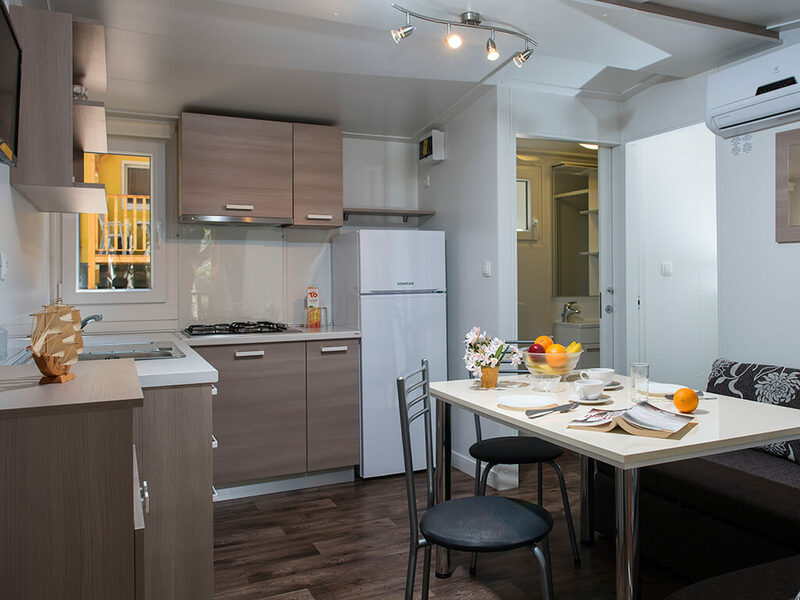 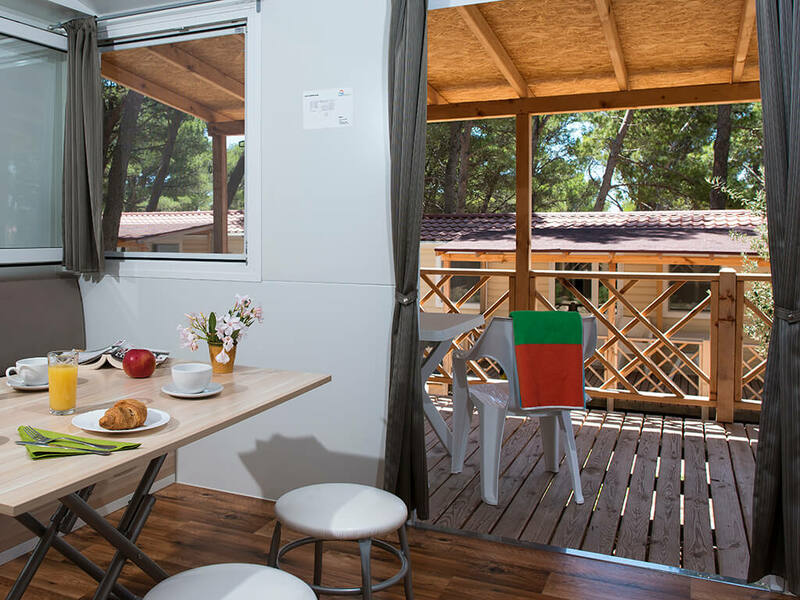 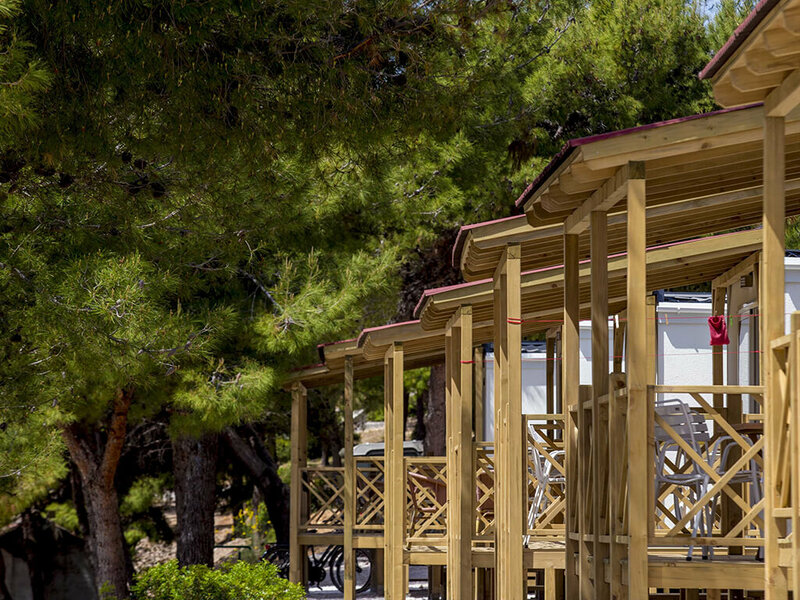 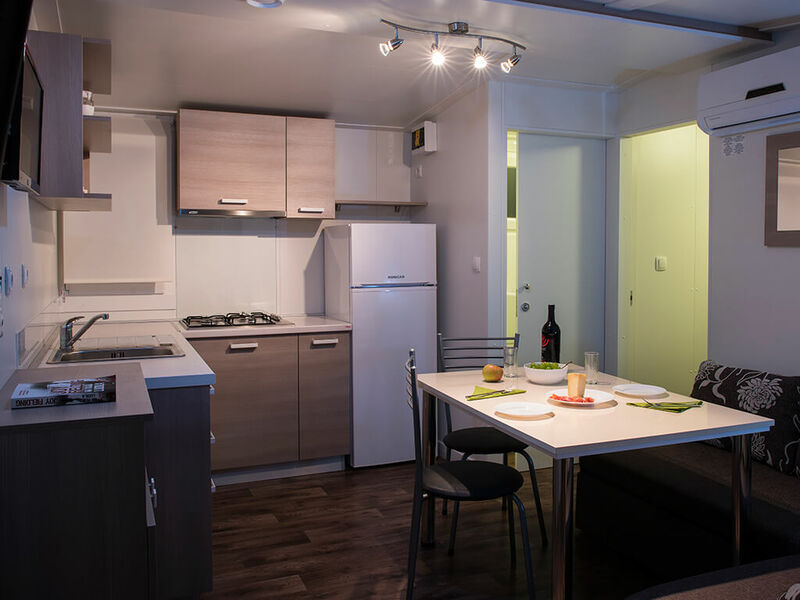 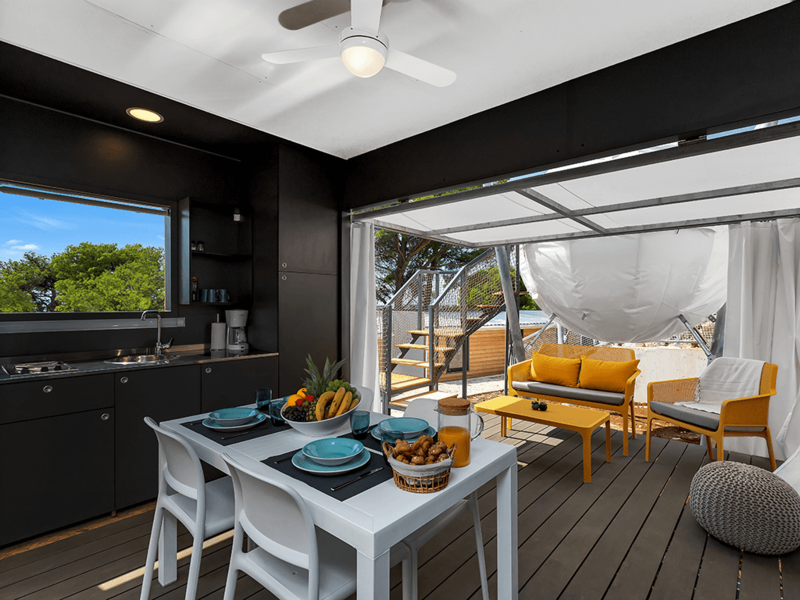 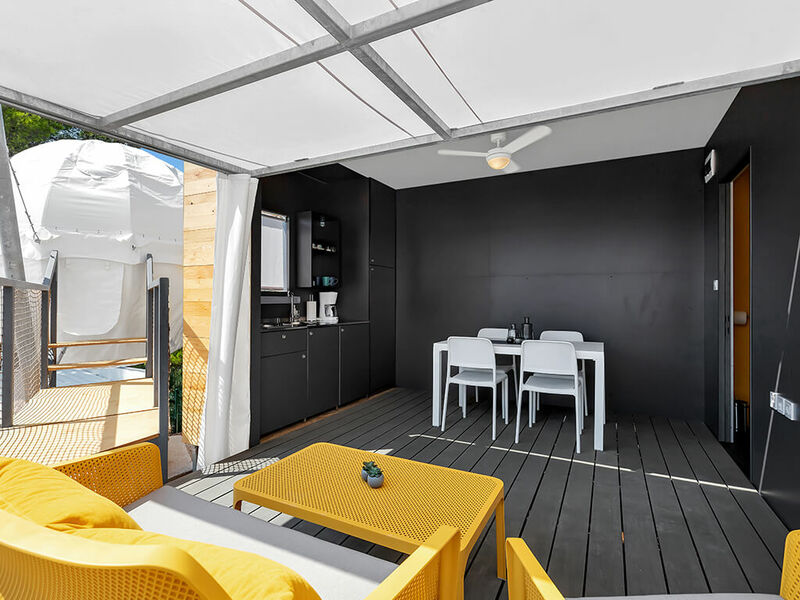 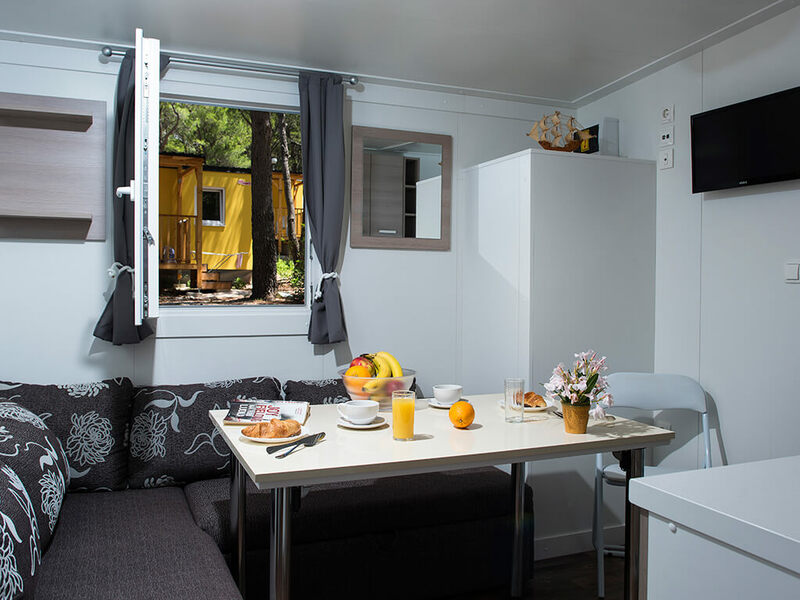 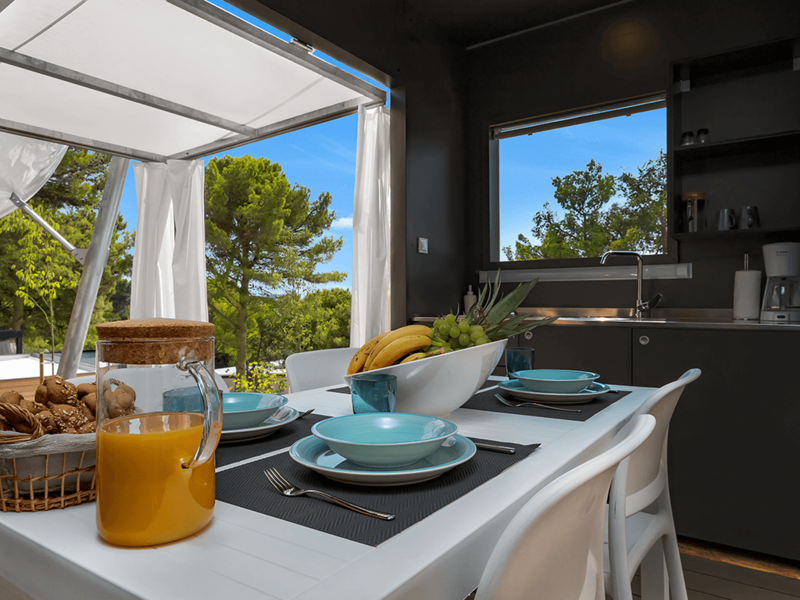 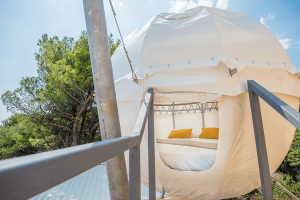 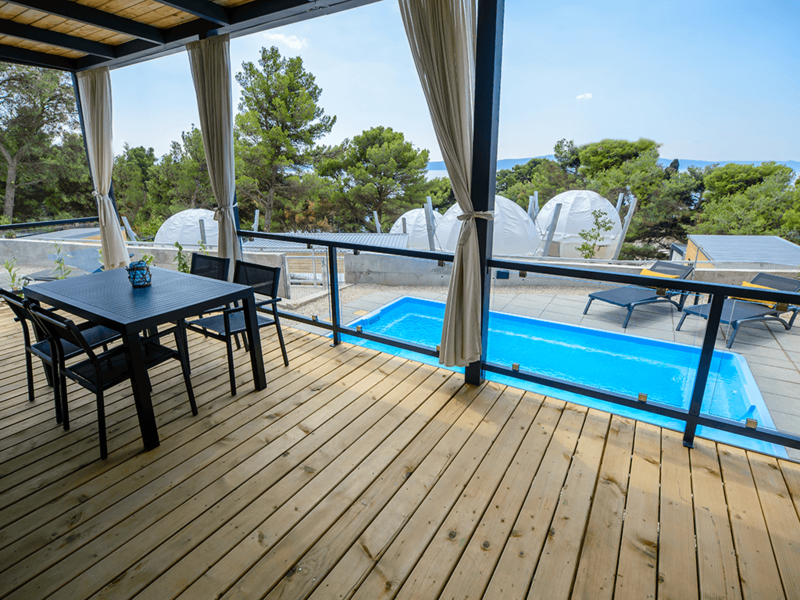 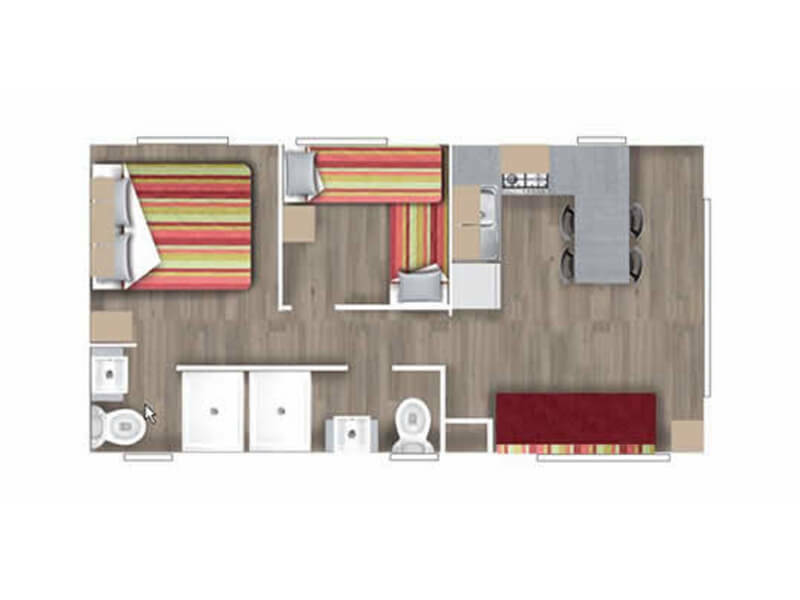 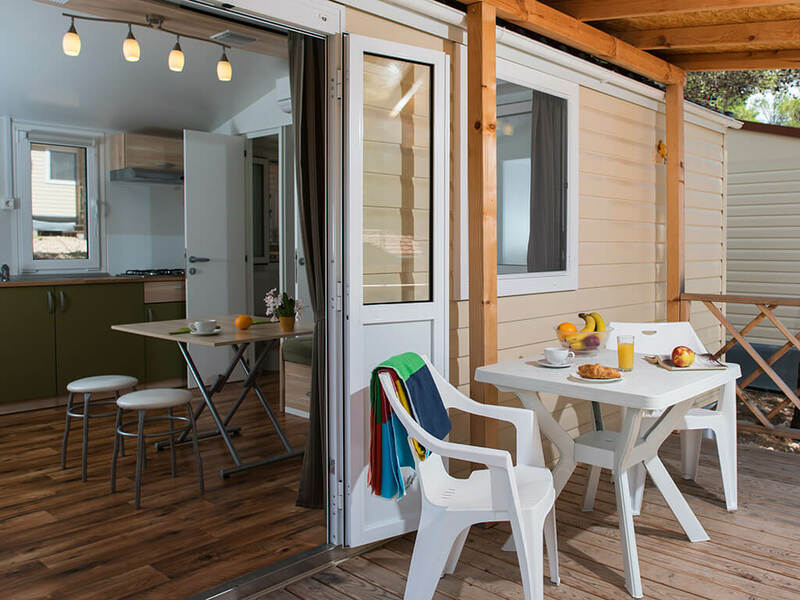 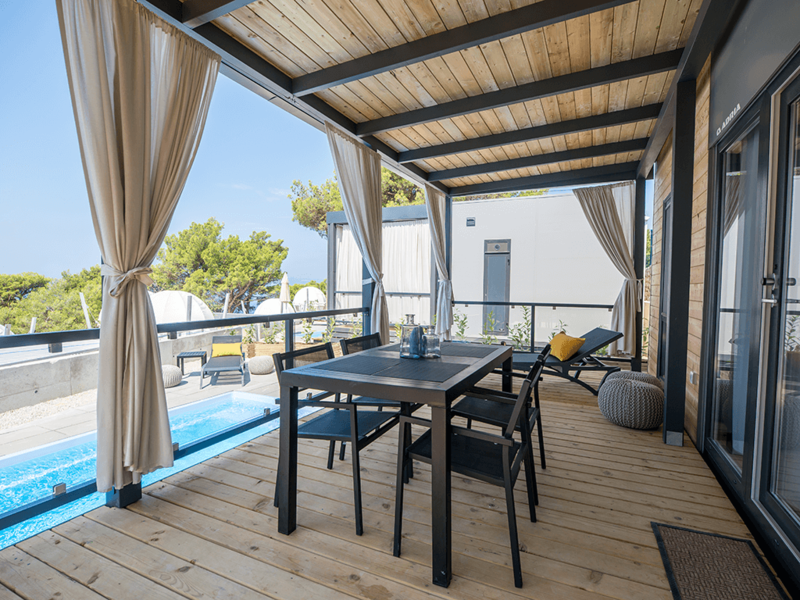 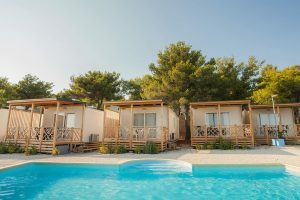 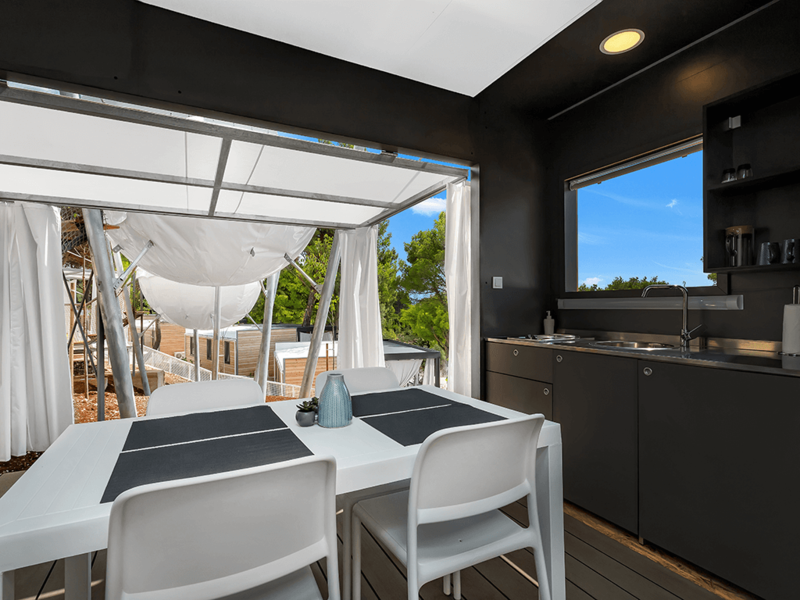 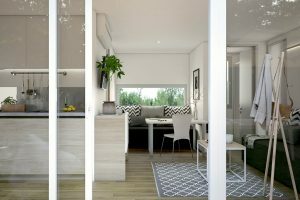 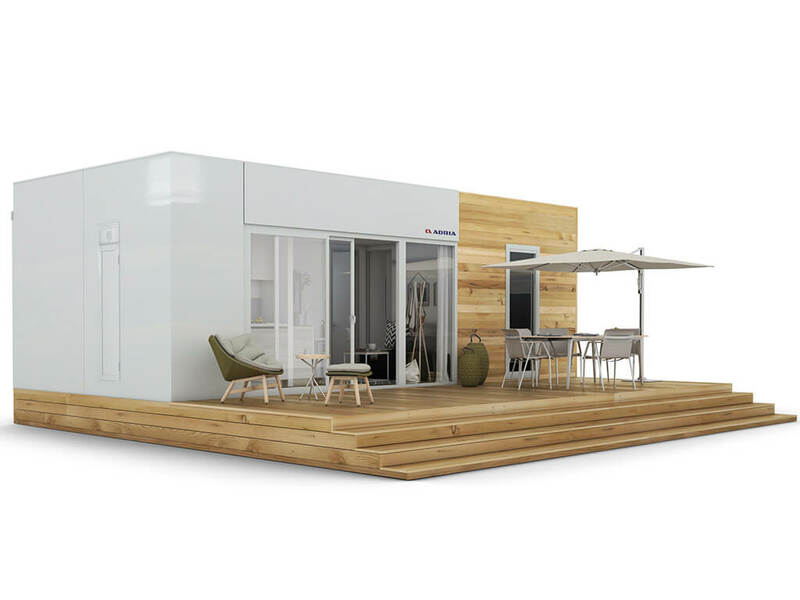 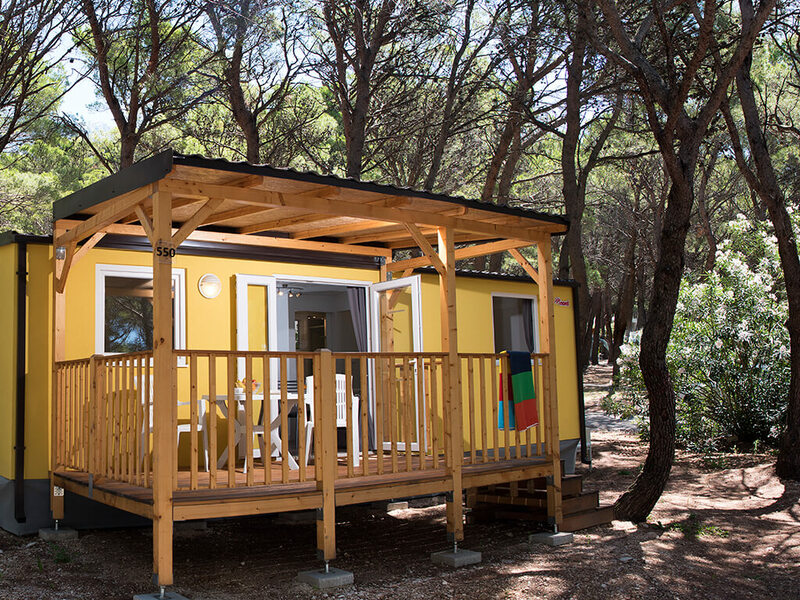 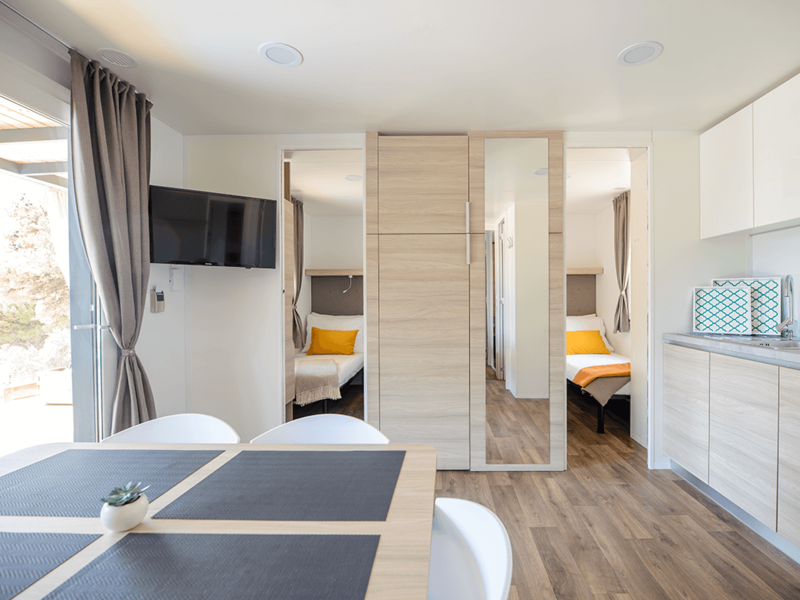 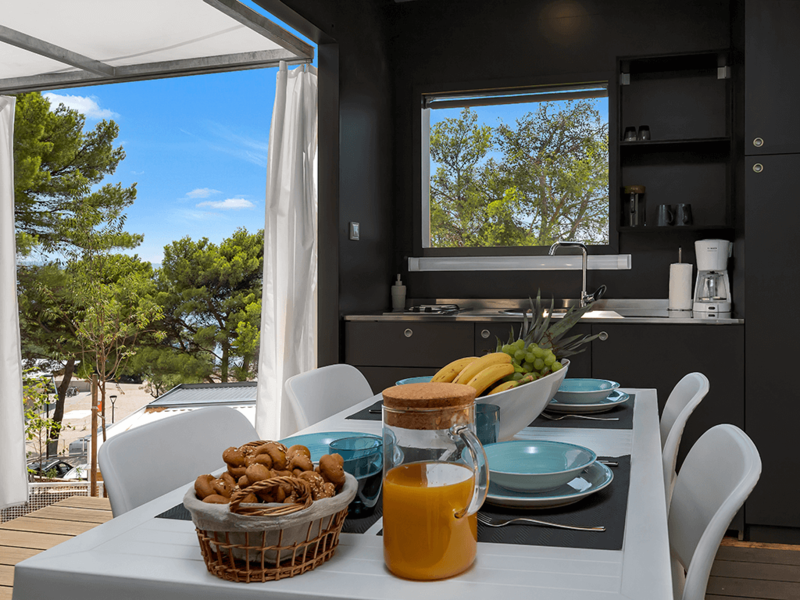 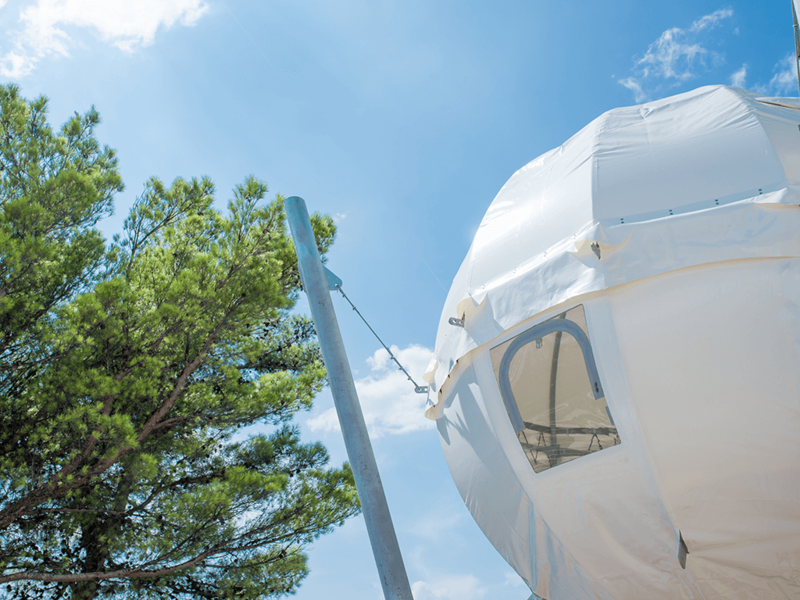 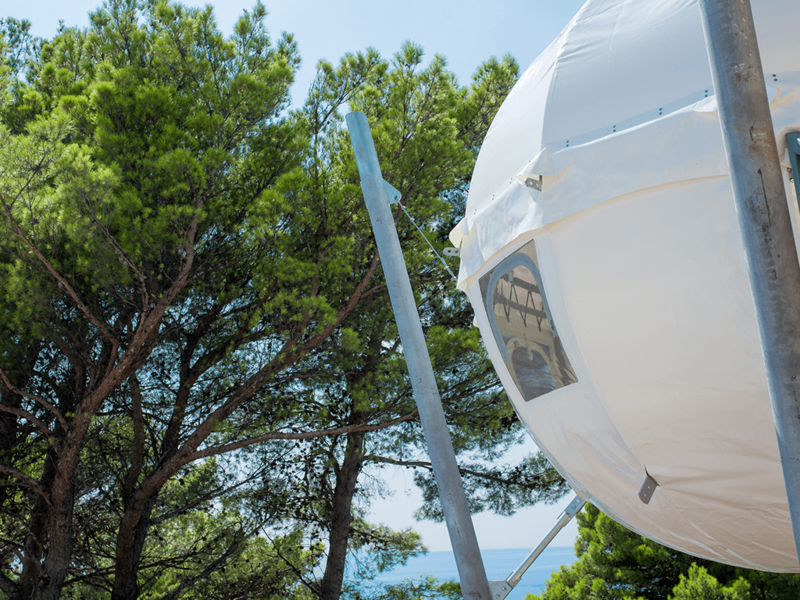 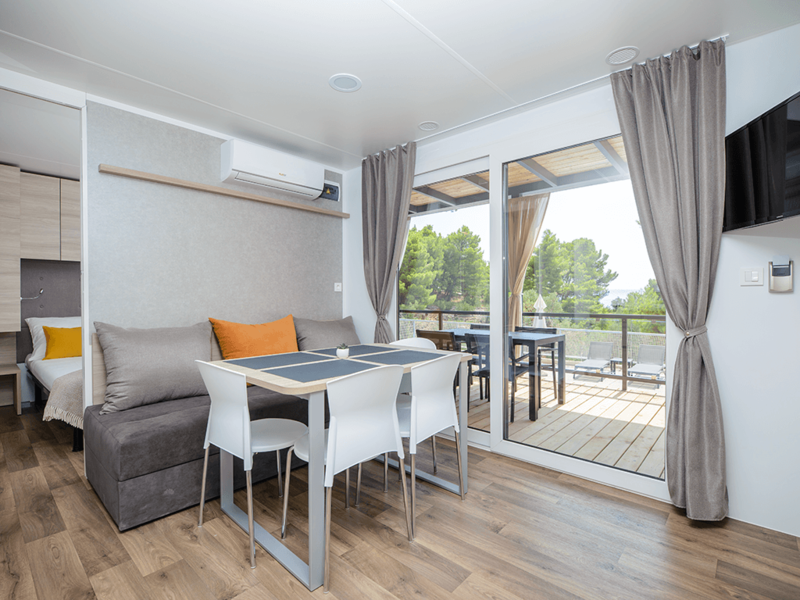 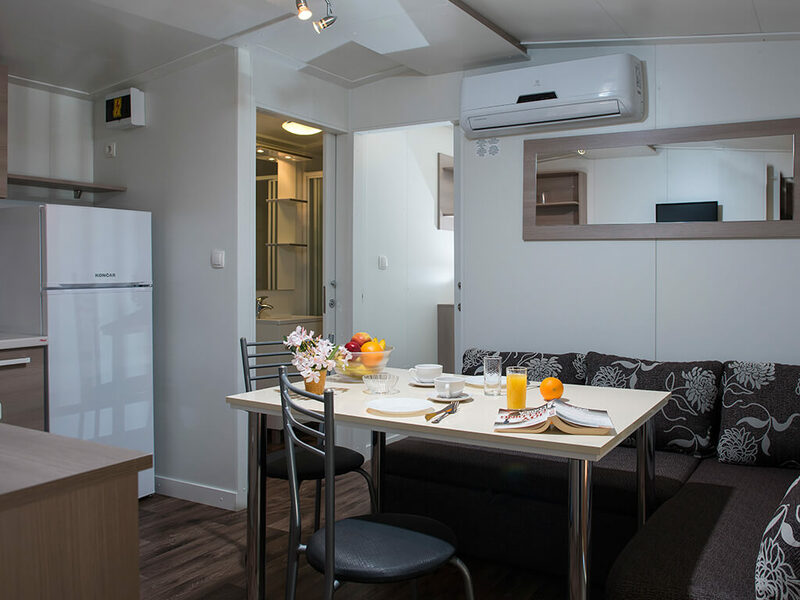 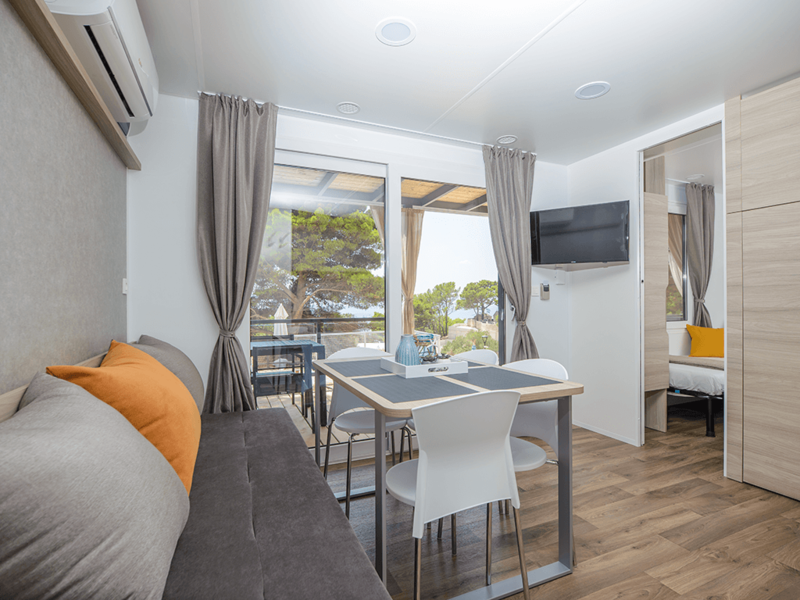 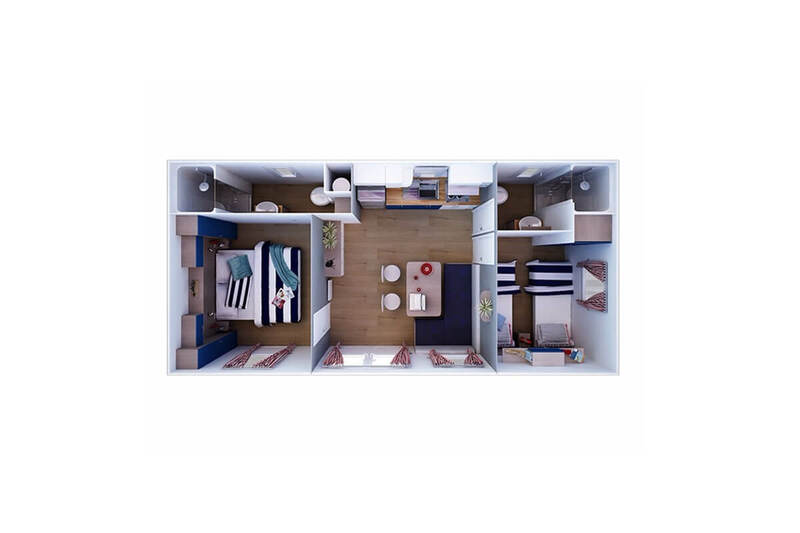 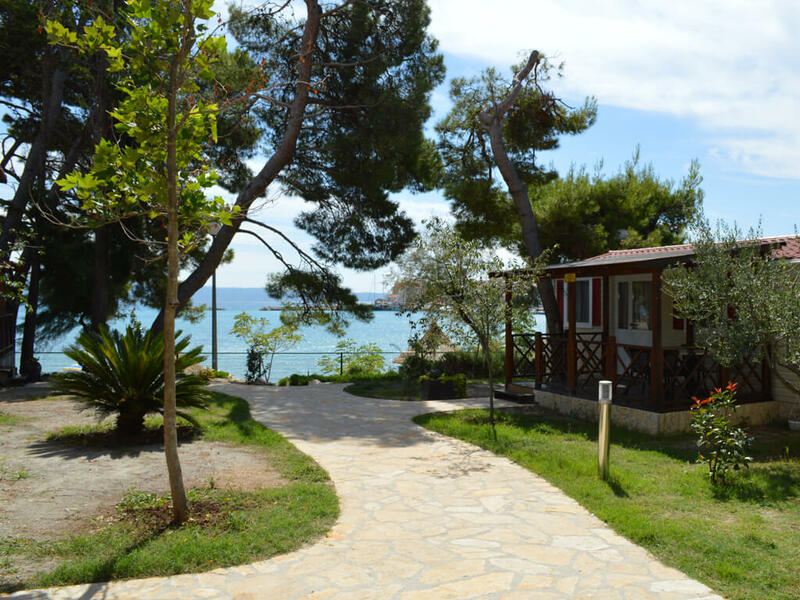 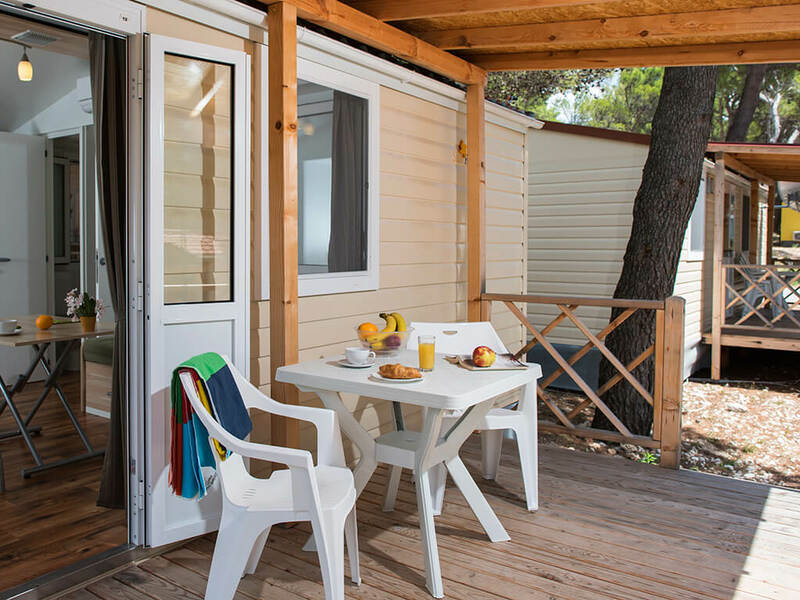 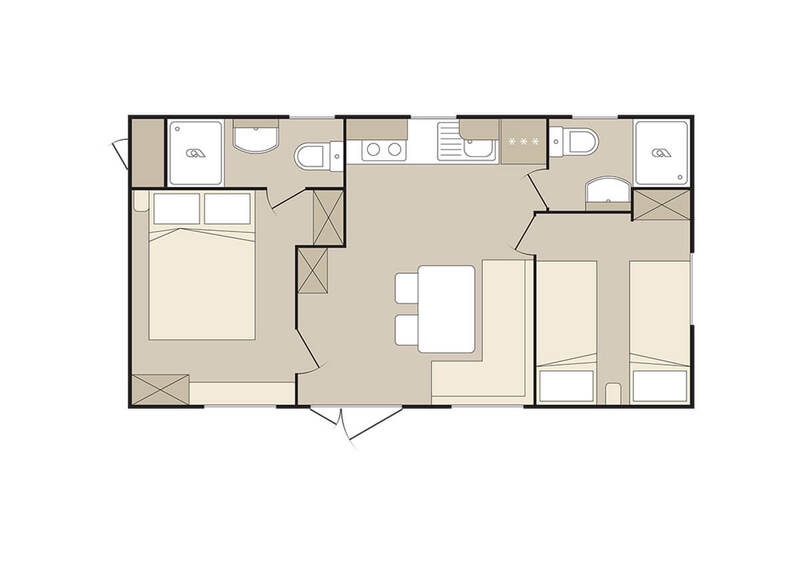 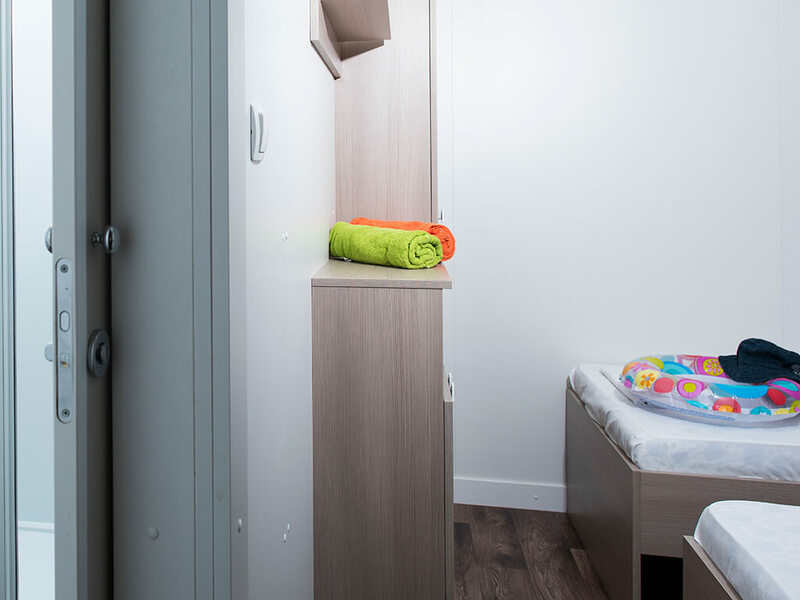 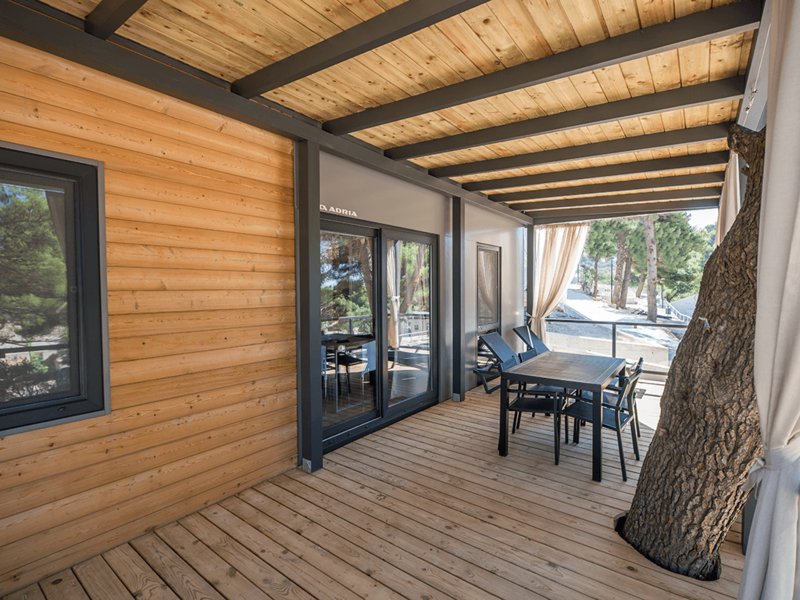 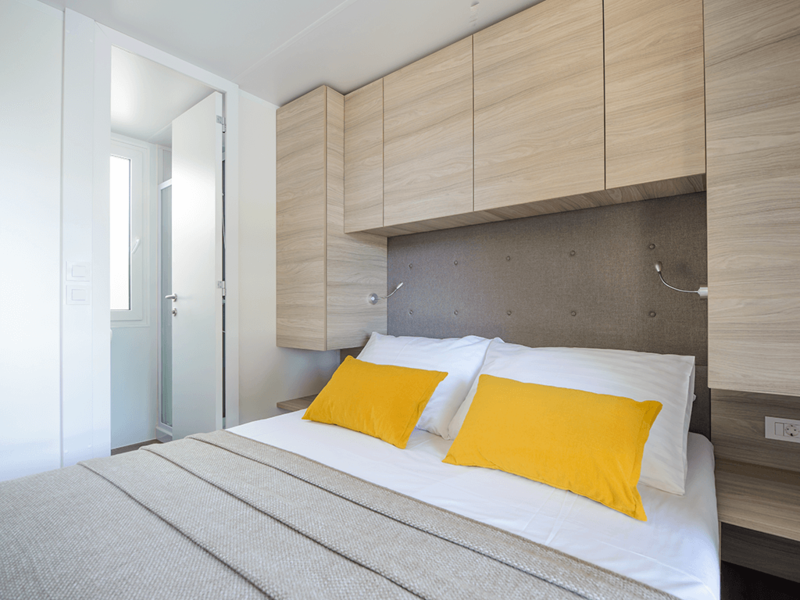 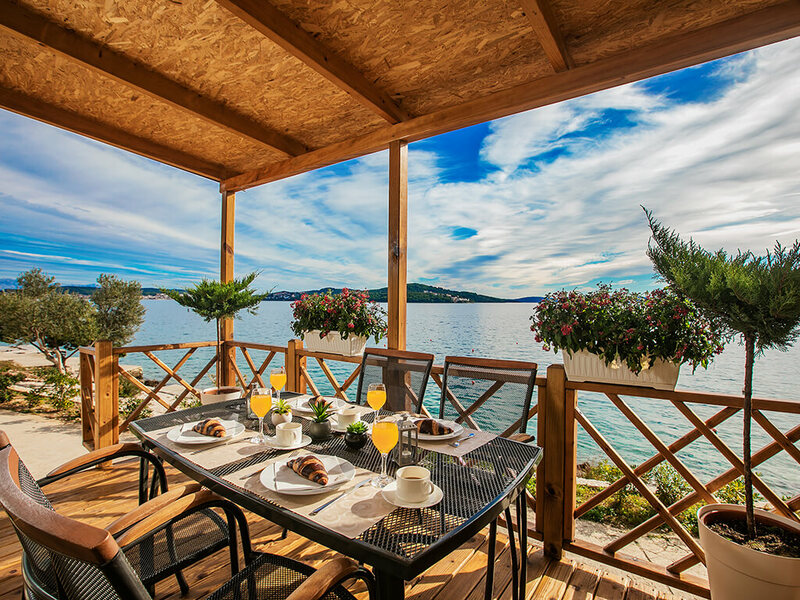 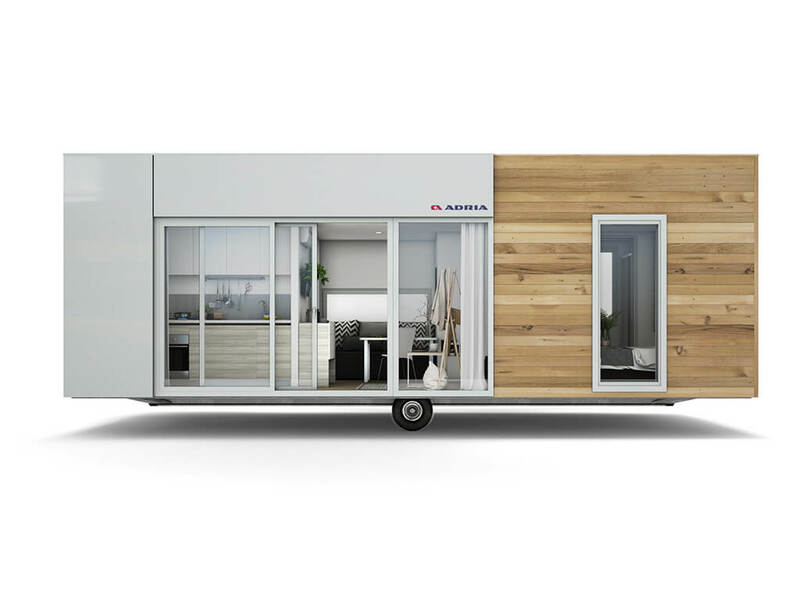 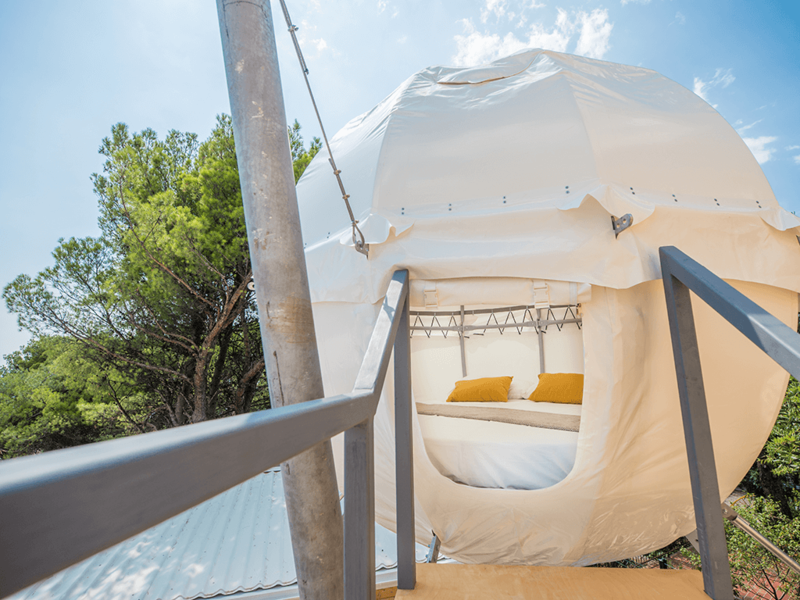 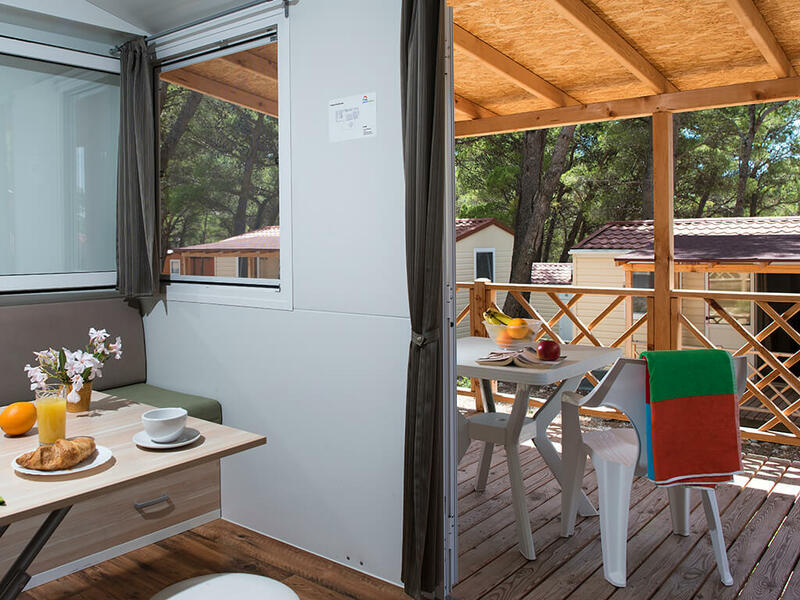 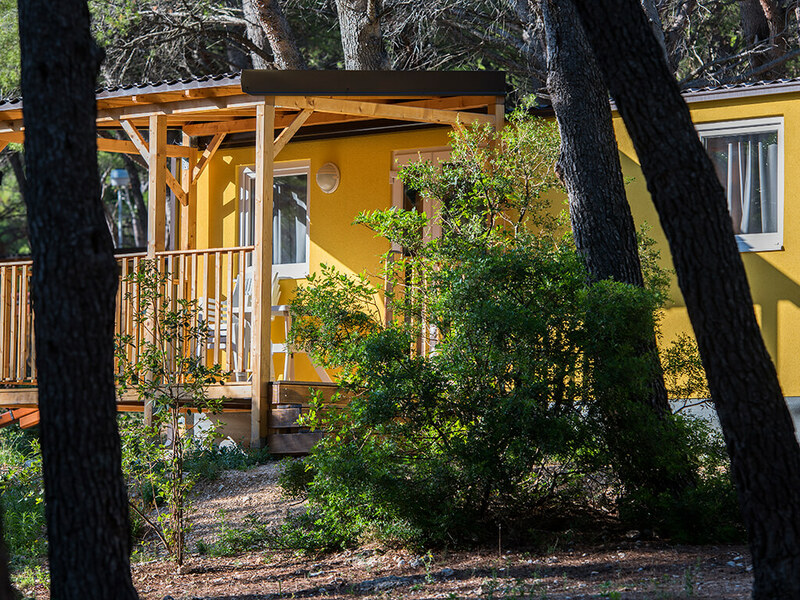 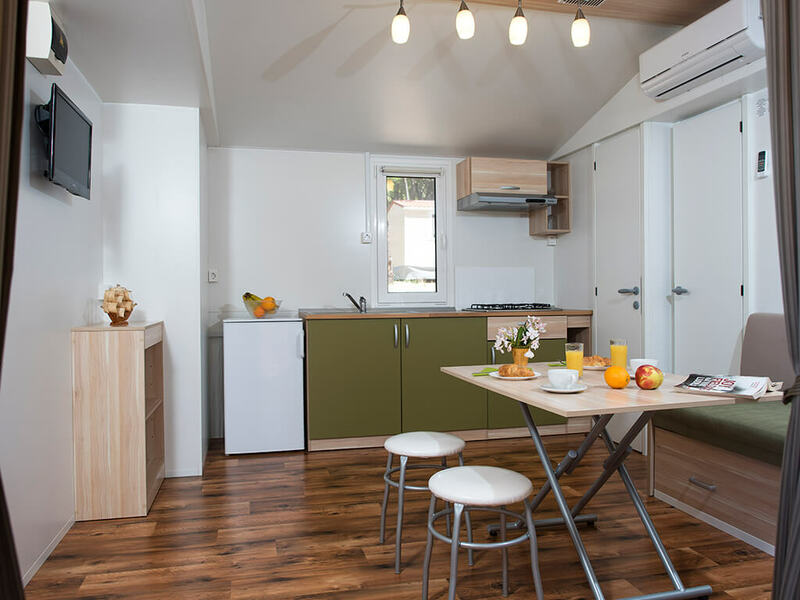 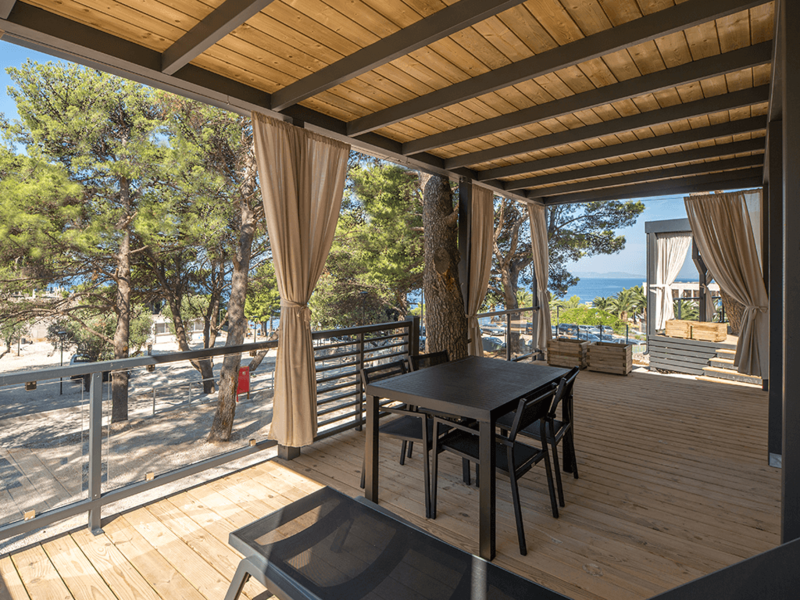 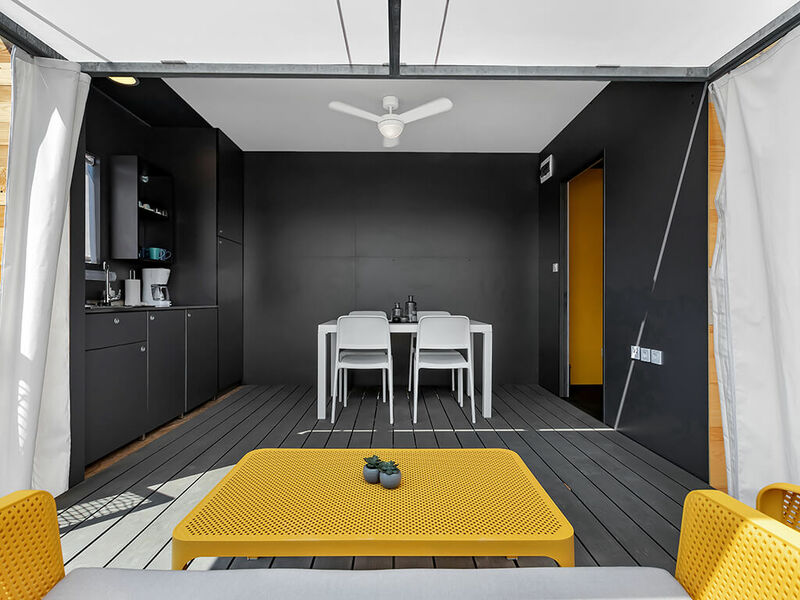 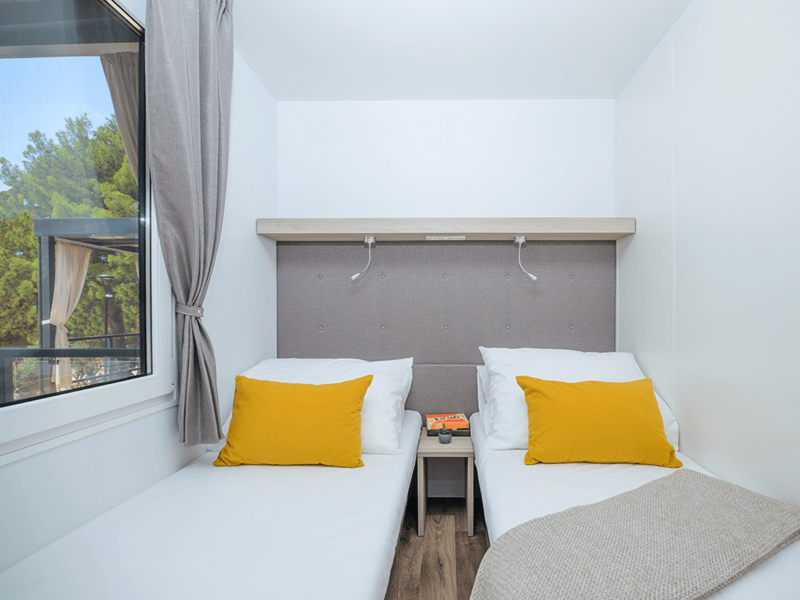 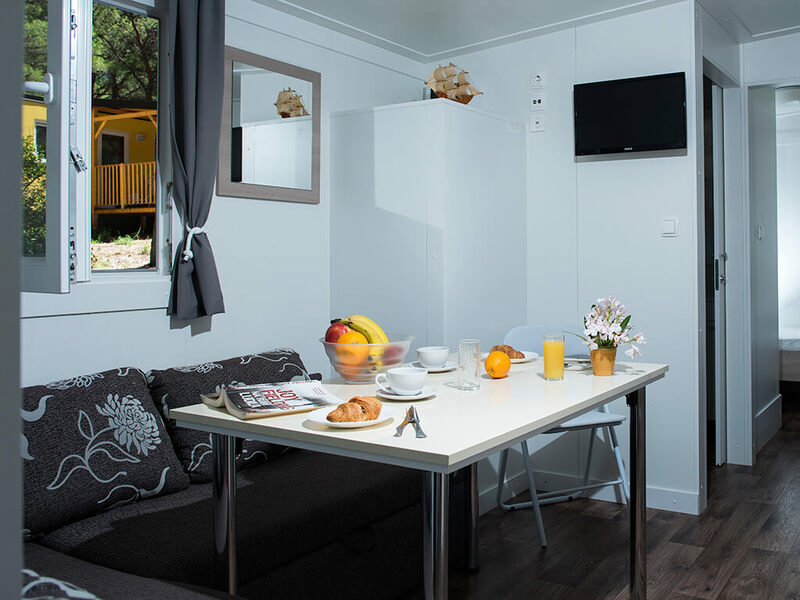 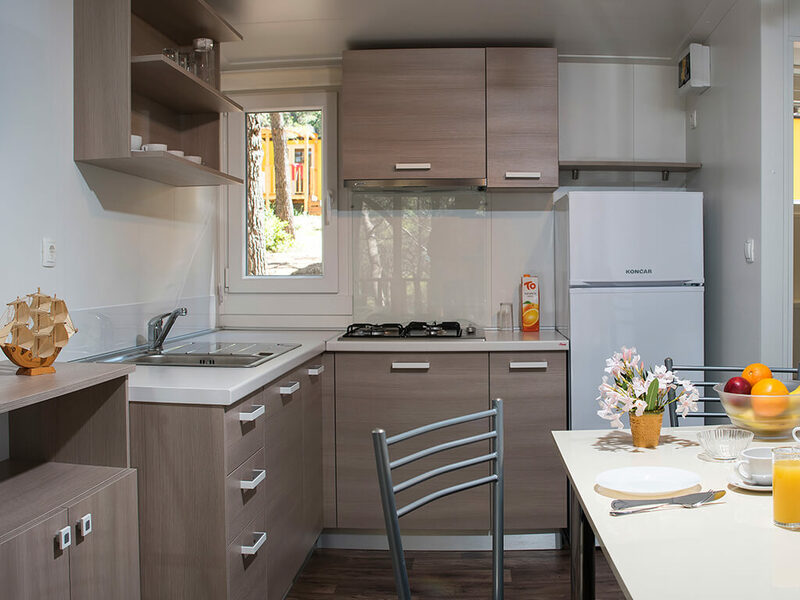 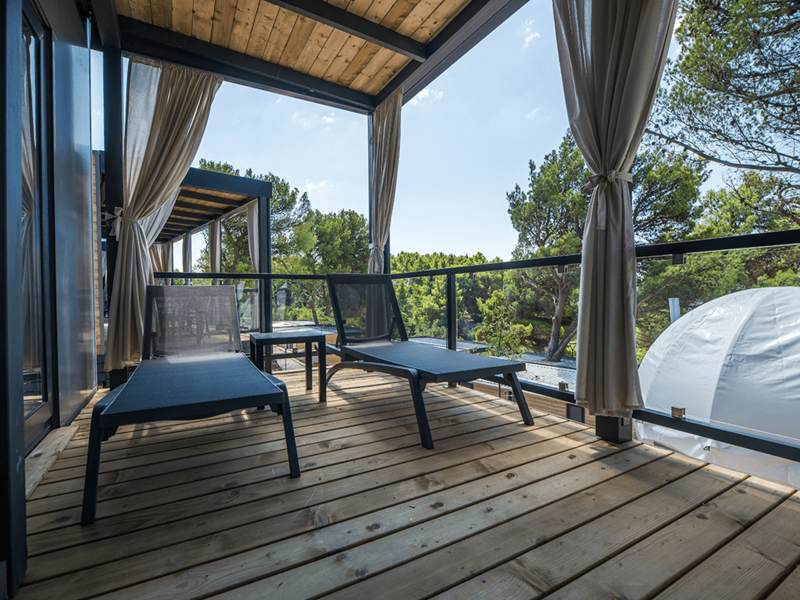 Equipped with modern fittings for return to nature, mobile homes in the Split region keep modern life benefits and are a perfect choice for holidays in the Adriatic. 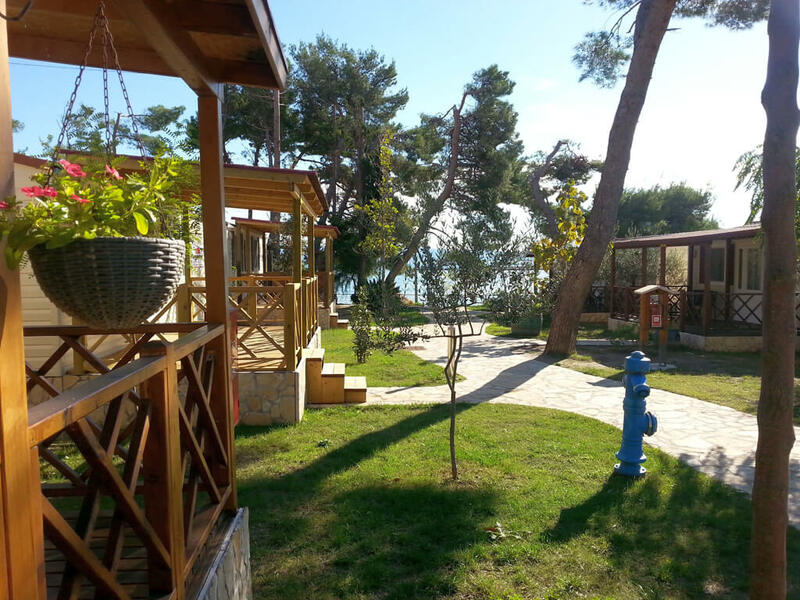 Some of them even the whole year around! 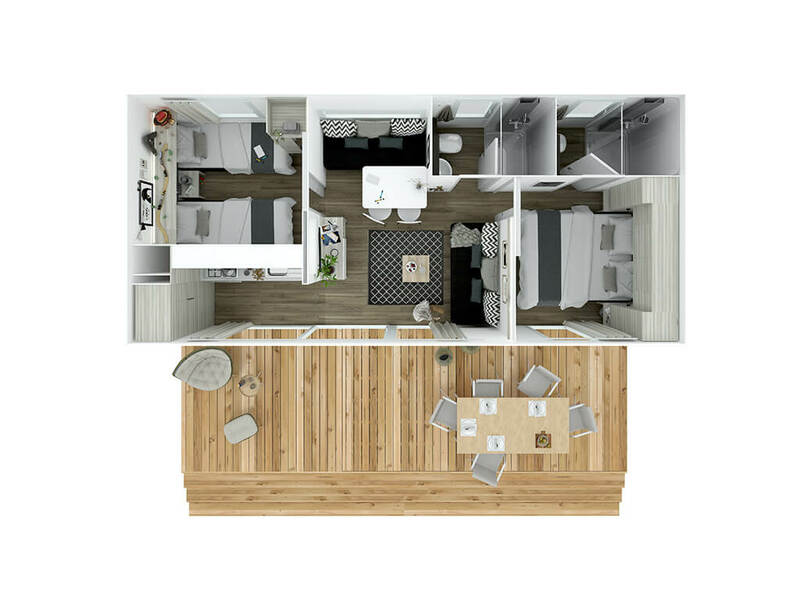 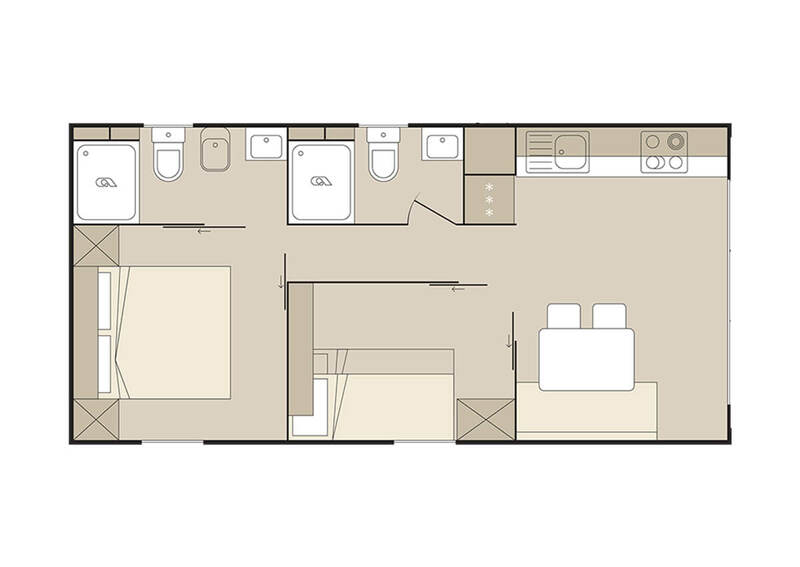 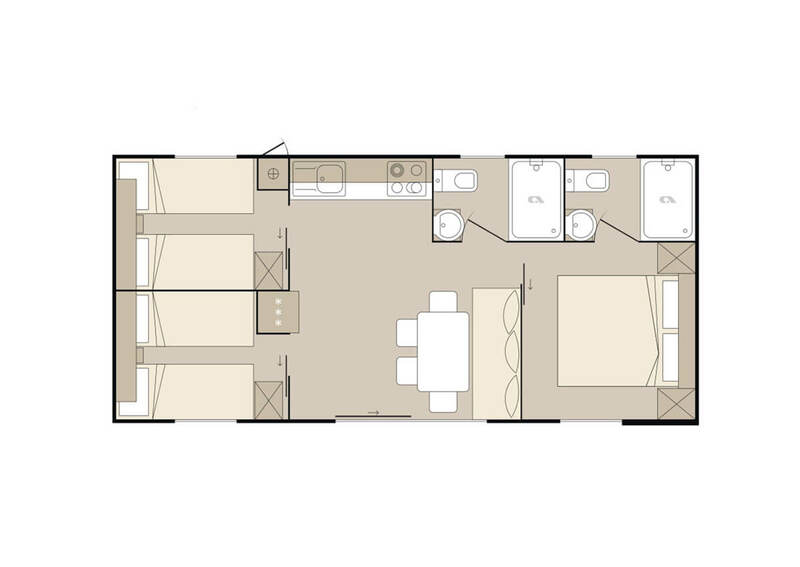 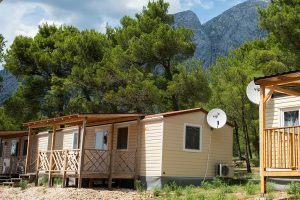 Try a different way of camping in mobile homes of the Split region. 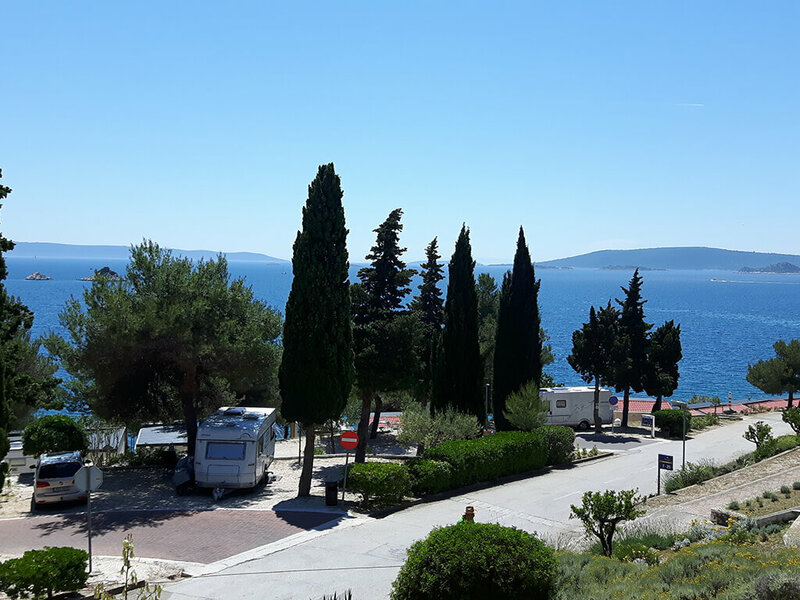 In the attractive location on the sea coast, the mobile homes in Trogir offer a view of the sea and nearby islands. 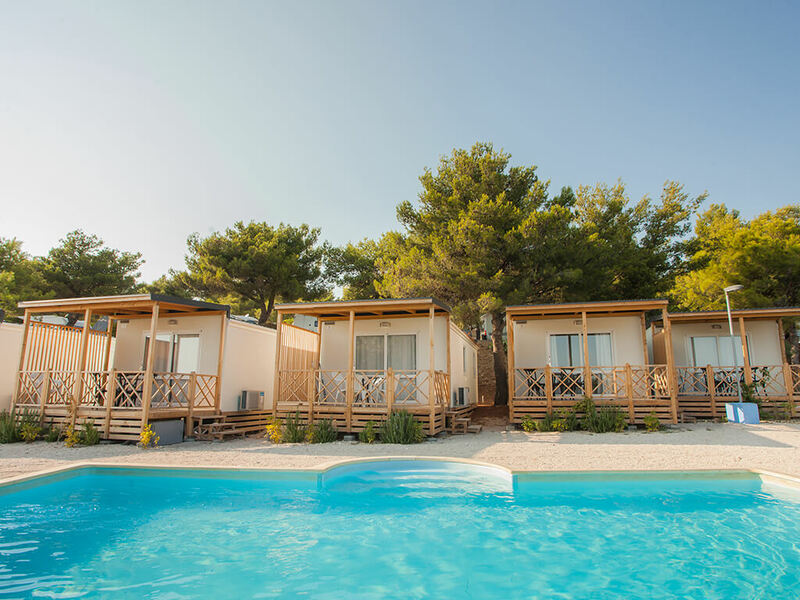 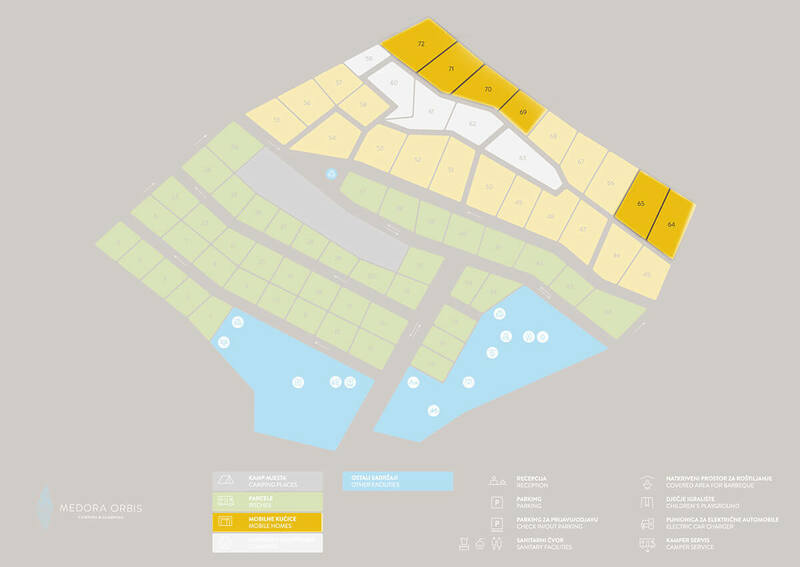 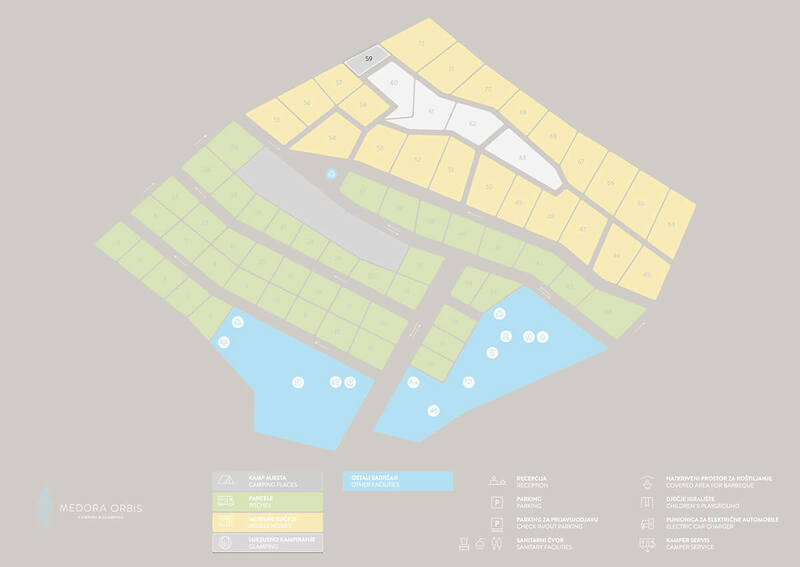 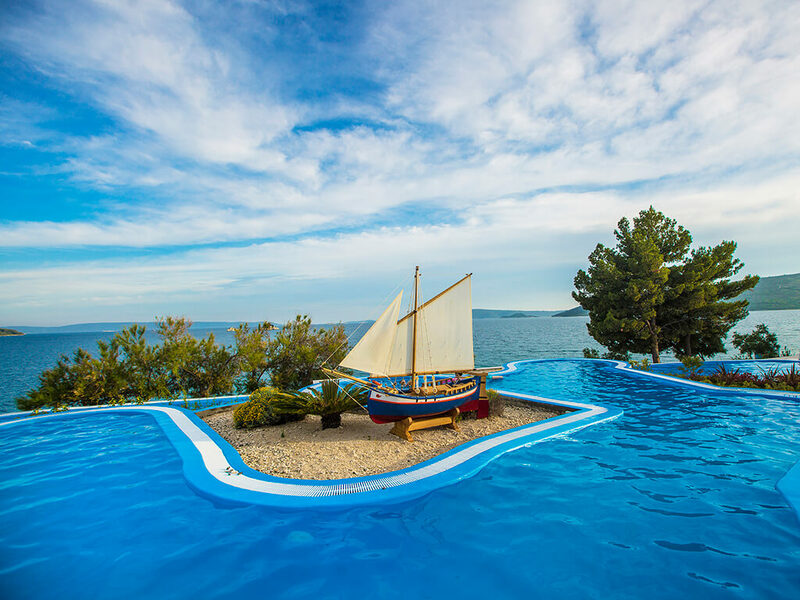 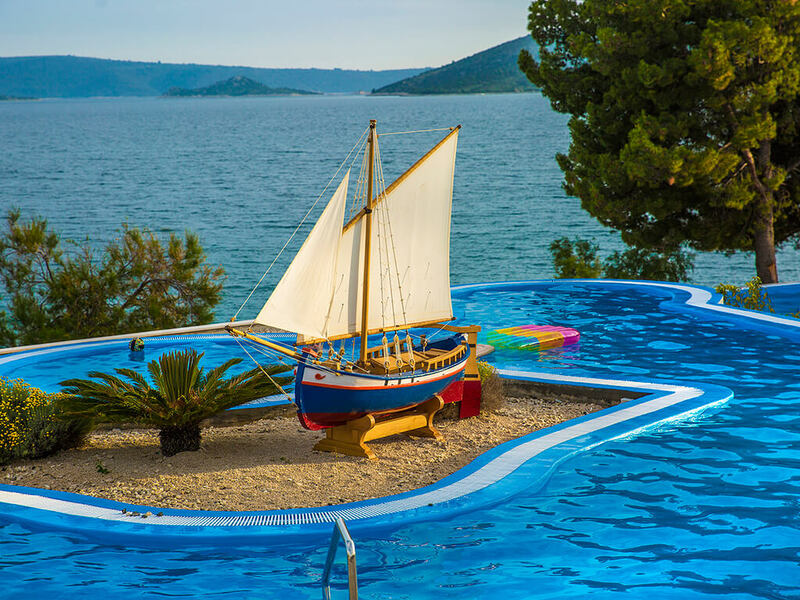 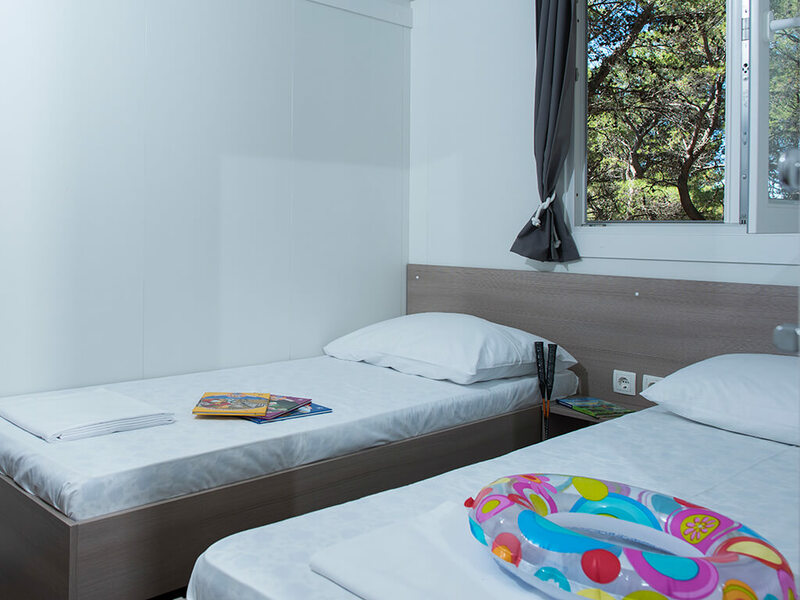 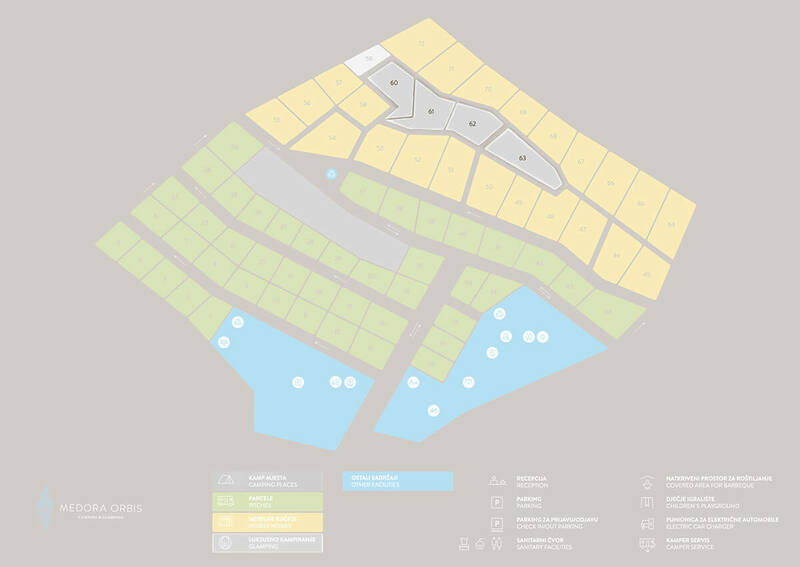 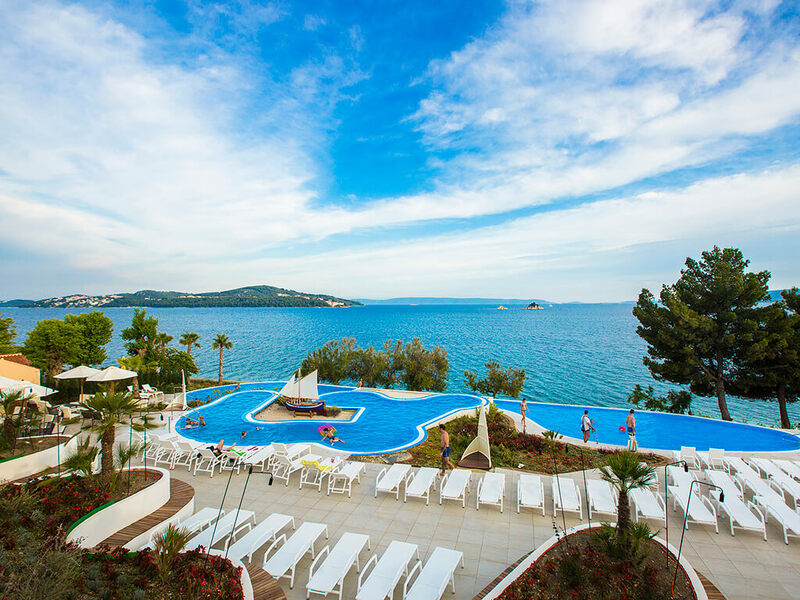 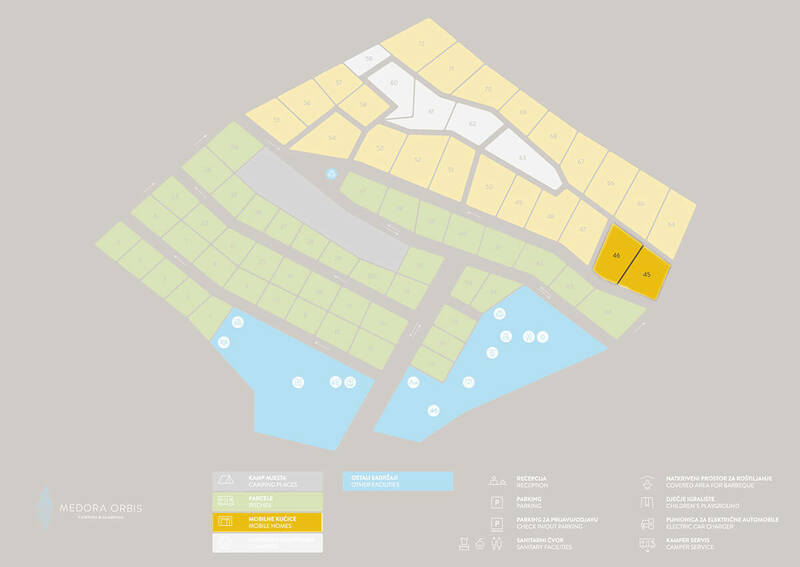 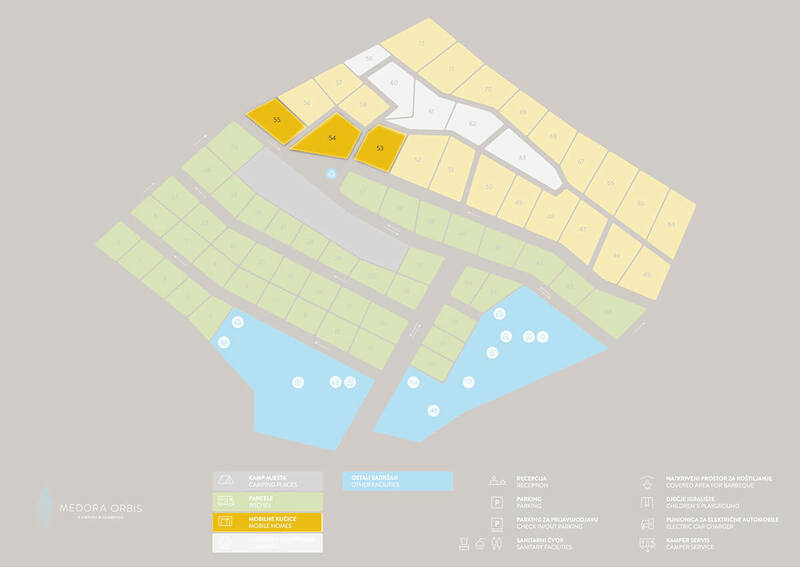 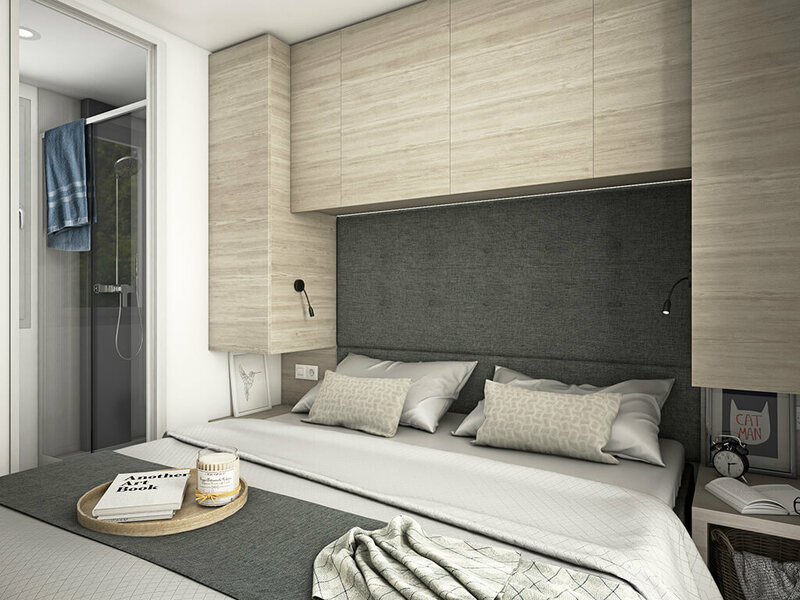 Ideal for stays in any season, mobile homes in Split are enriched by additional campsite facilities, such as swimming pools, wellness and spas. 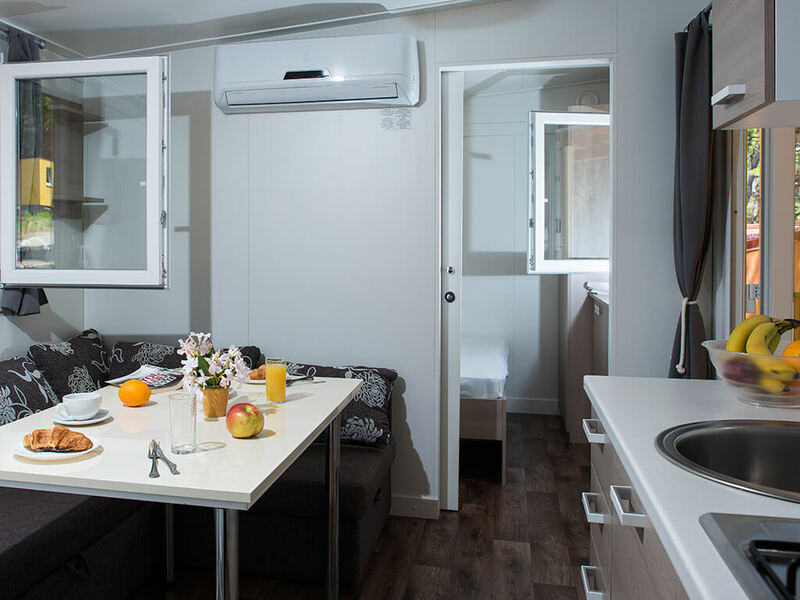 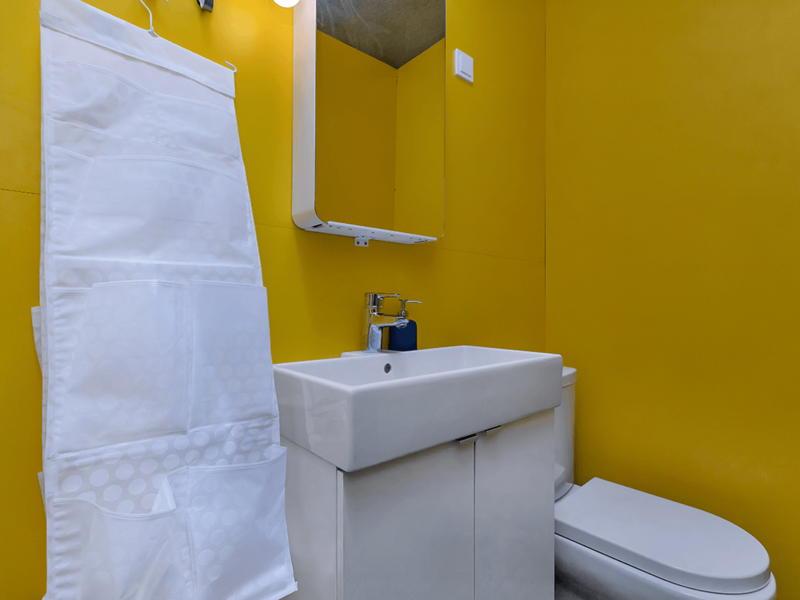 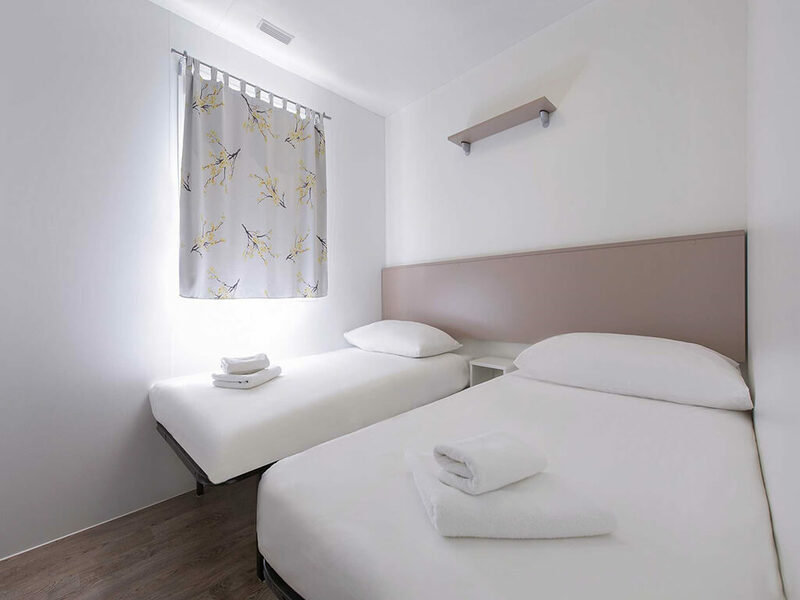 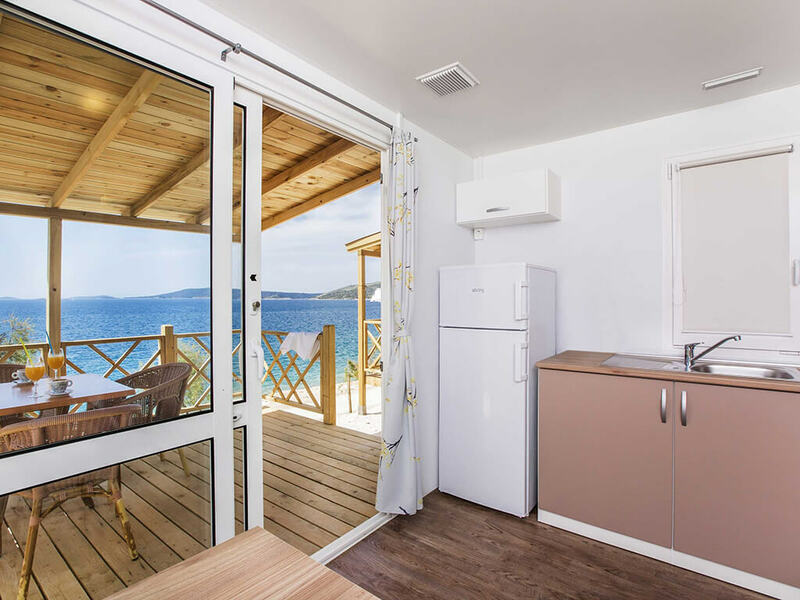 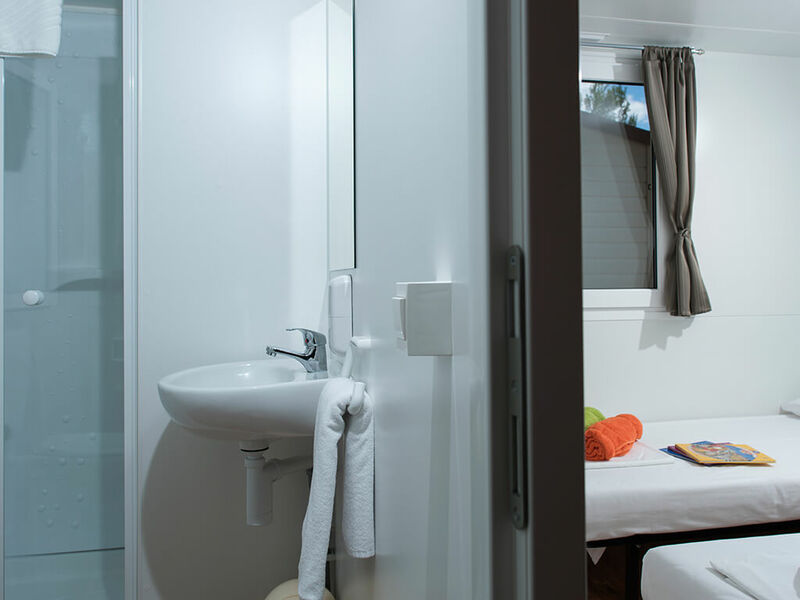 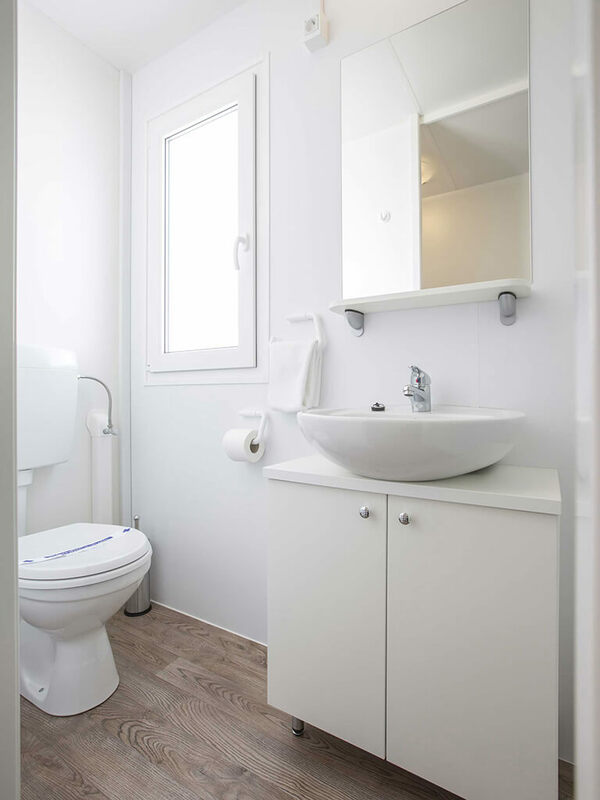 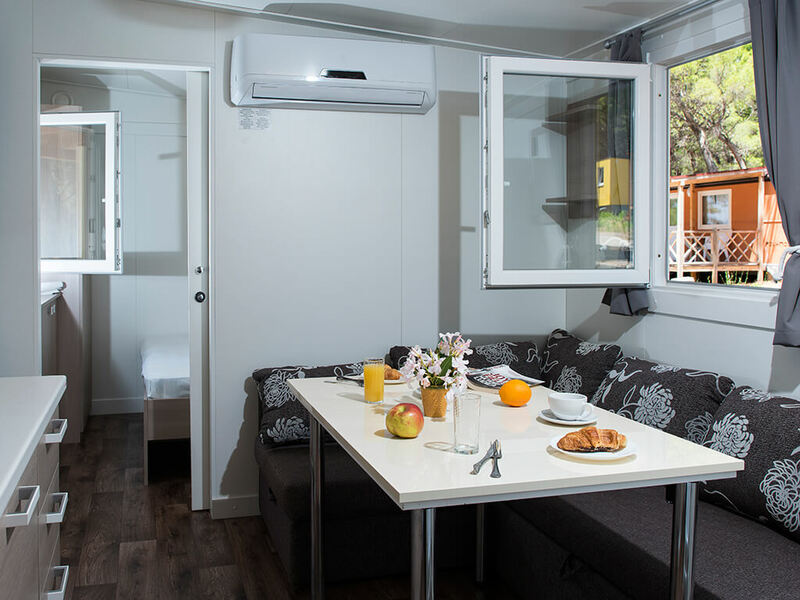 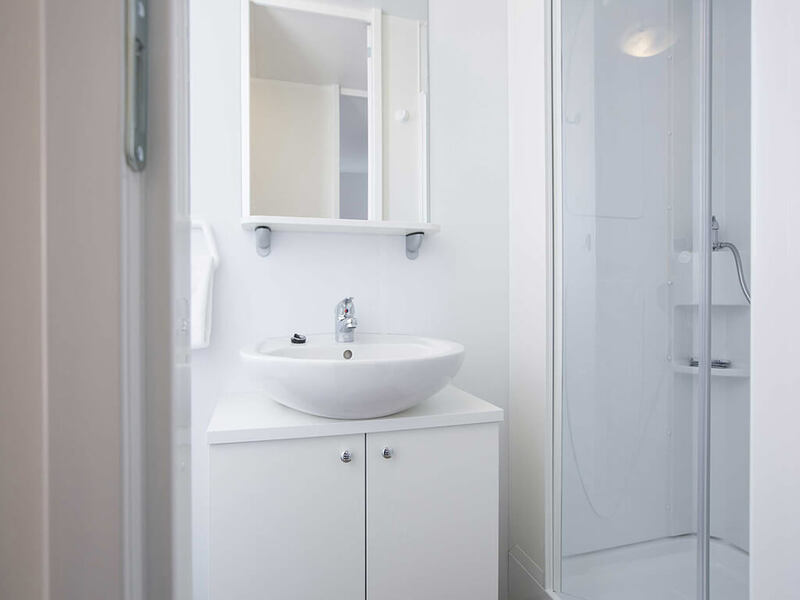 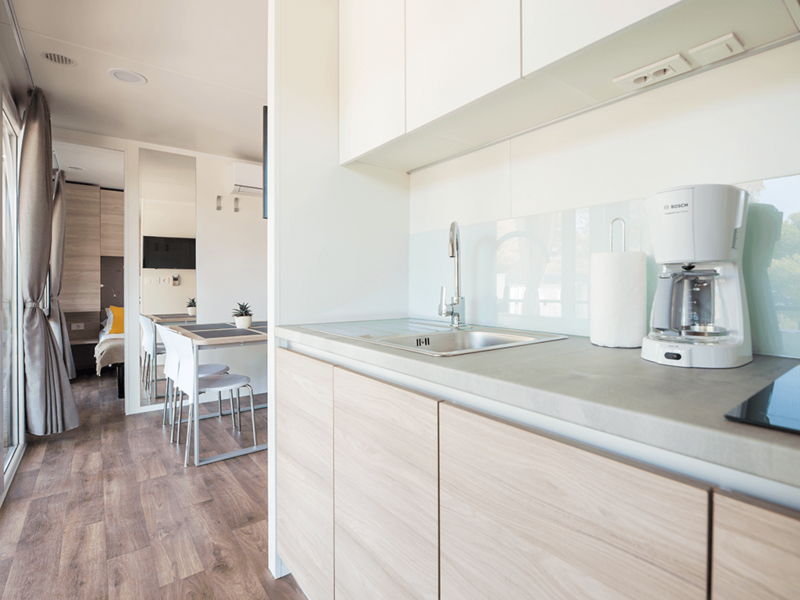 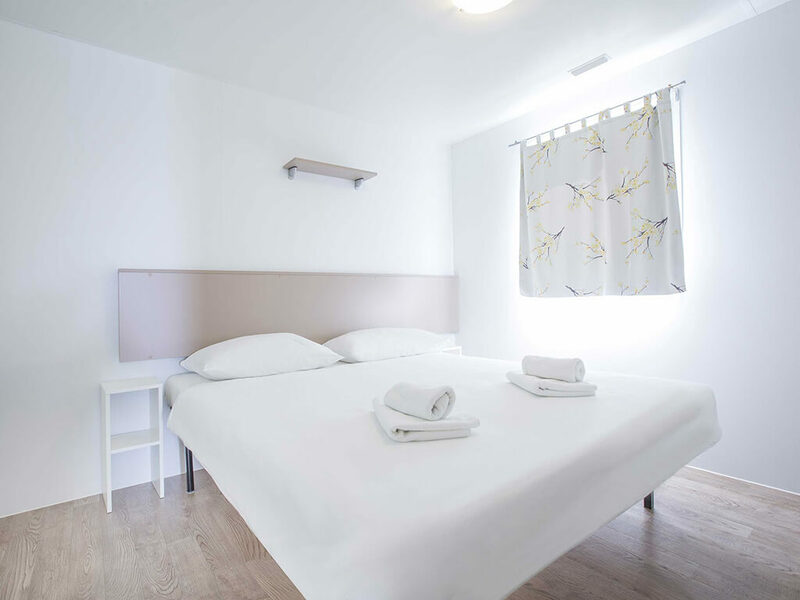 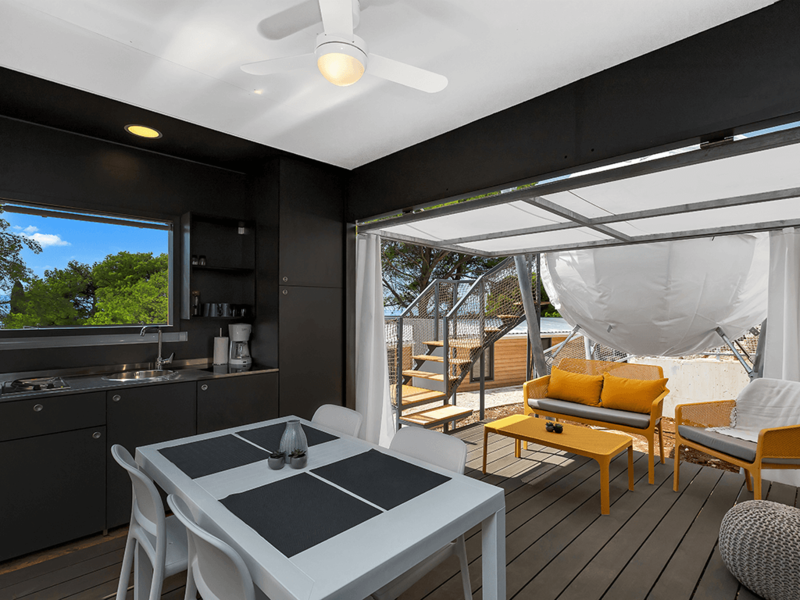 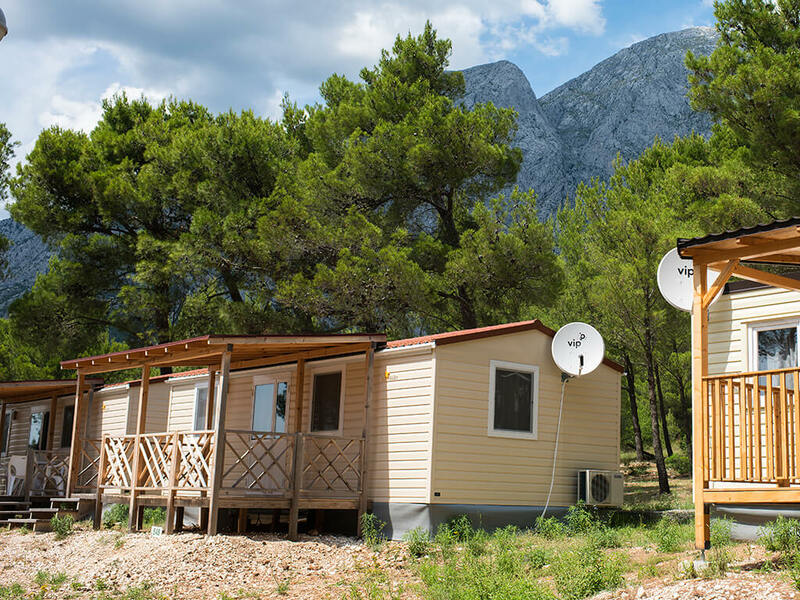 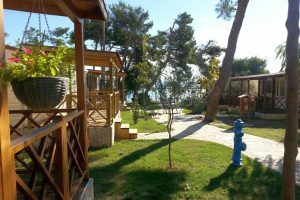 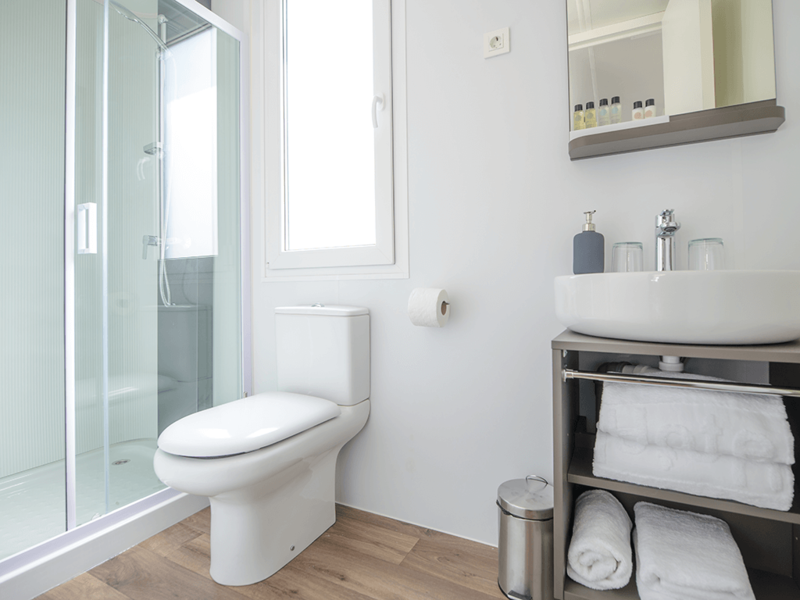 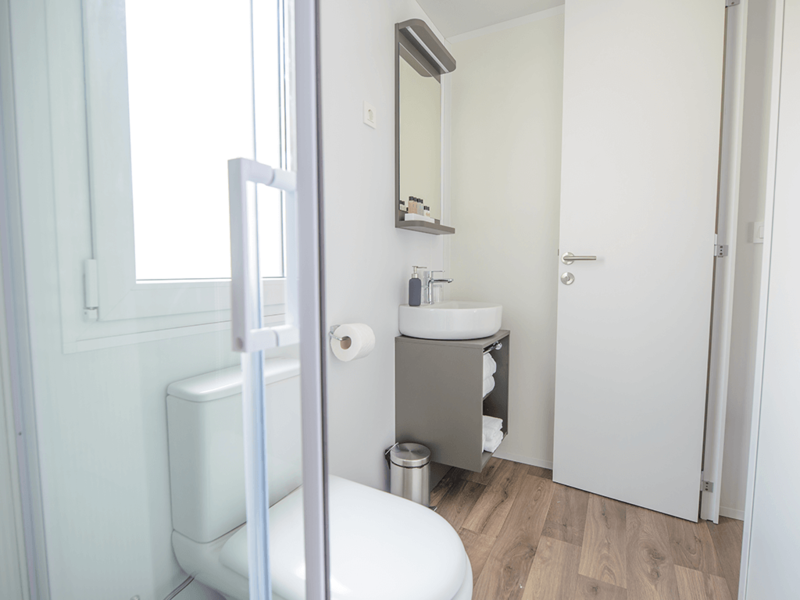 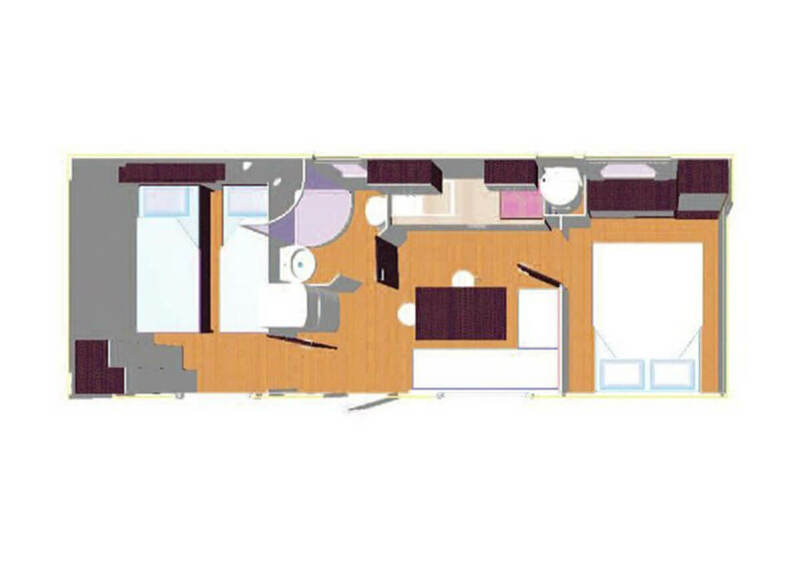 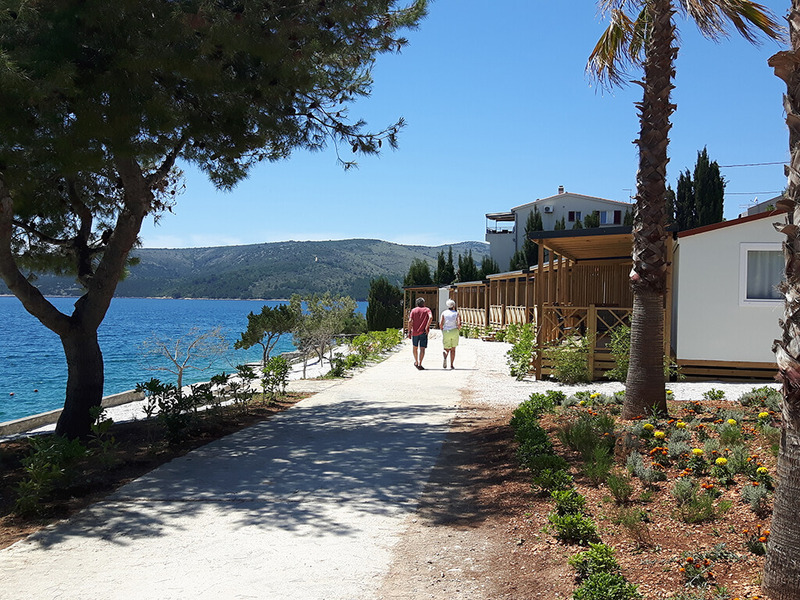 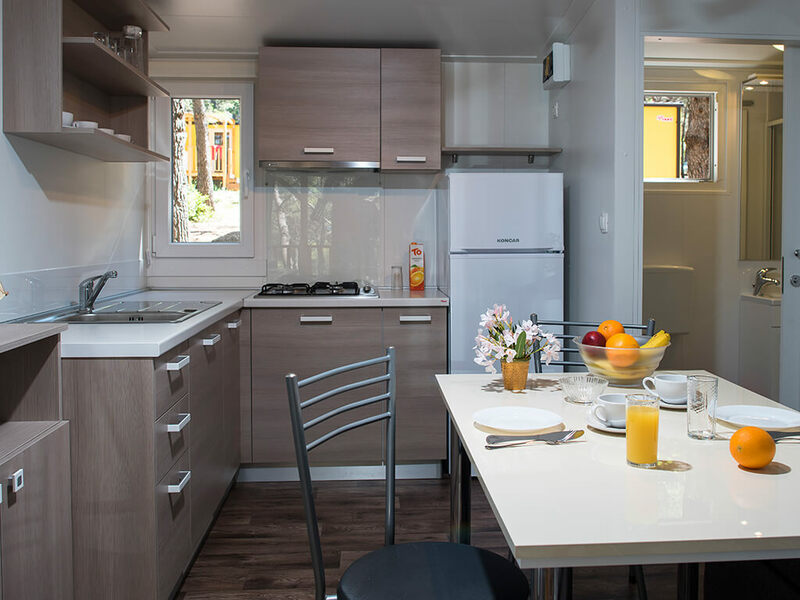 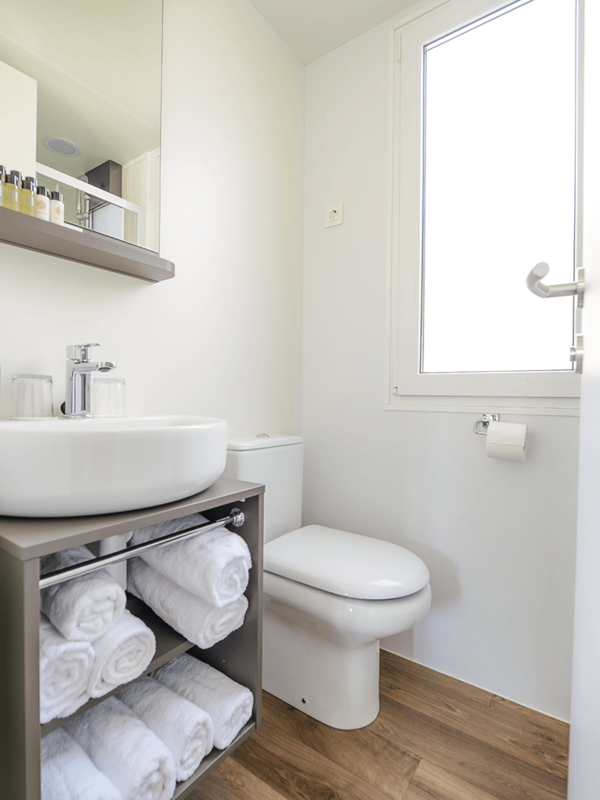 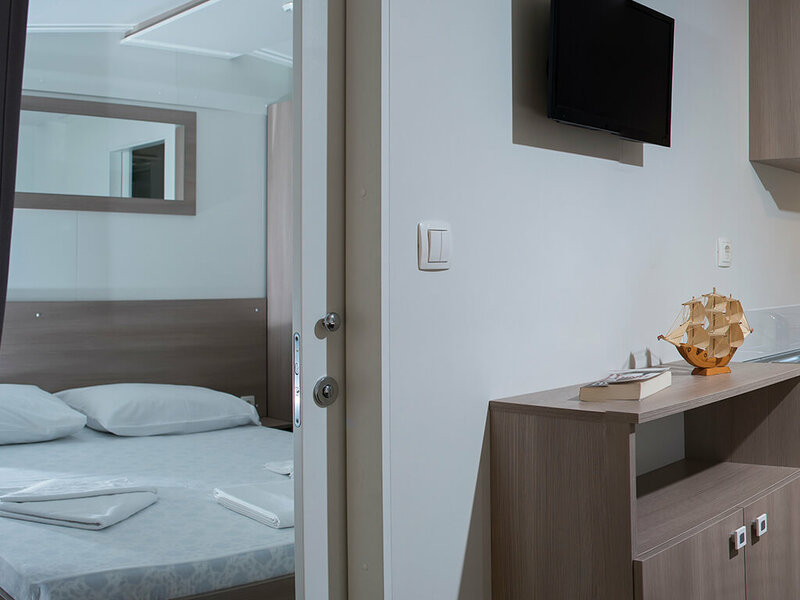 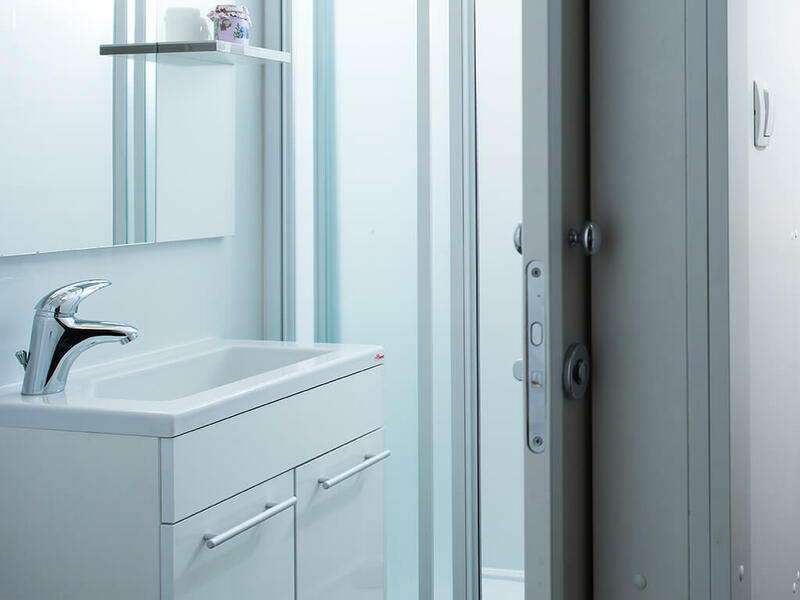 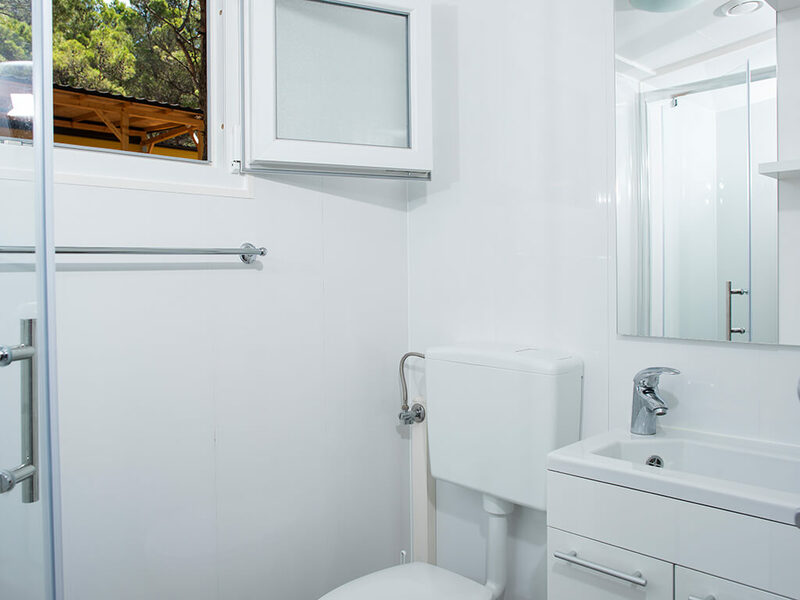 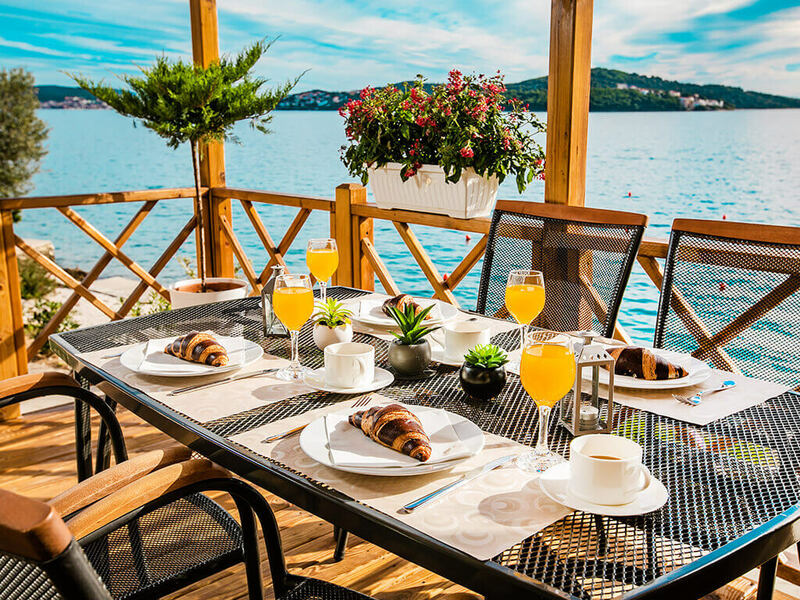 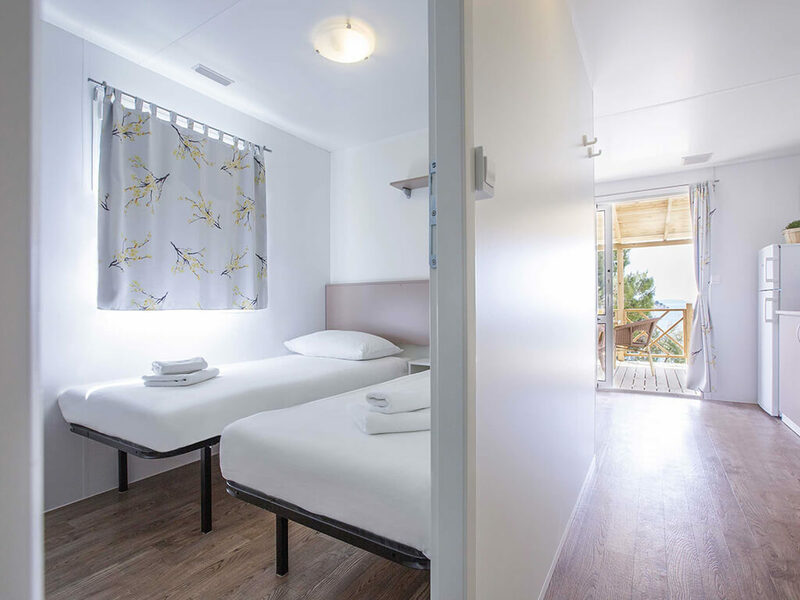 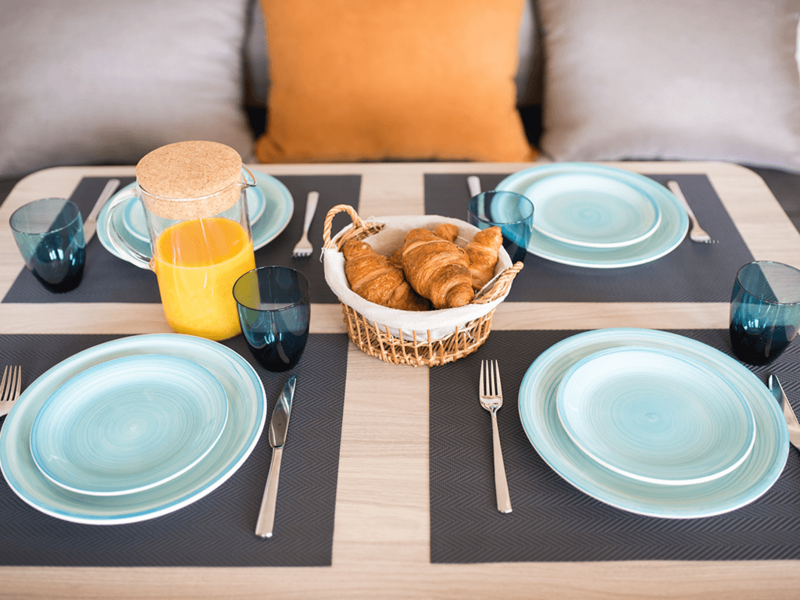 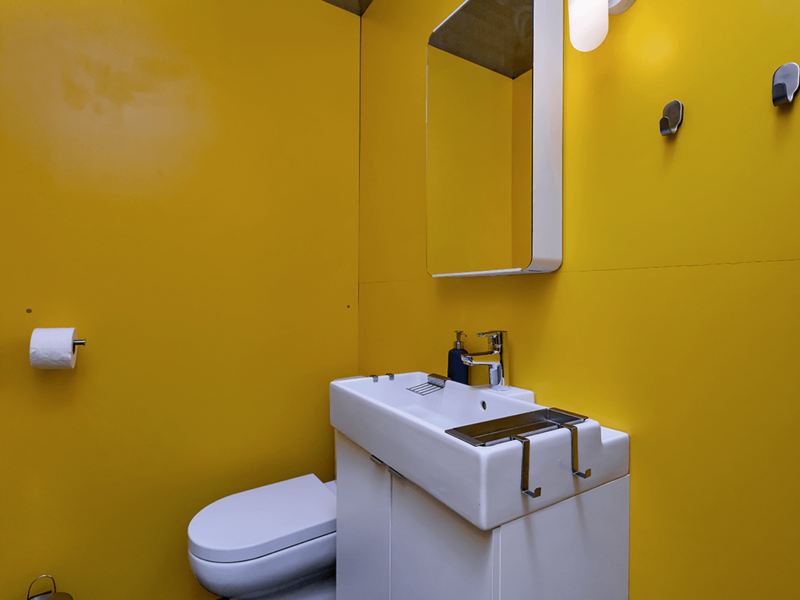 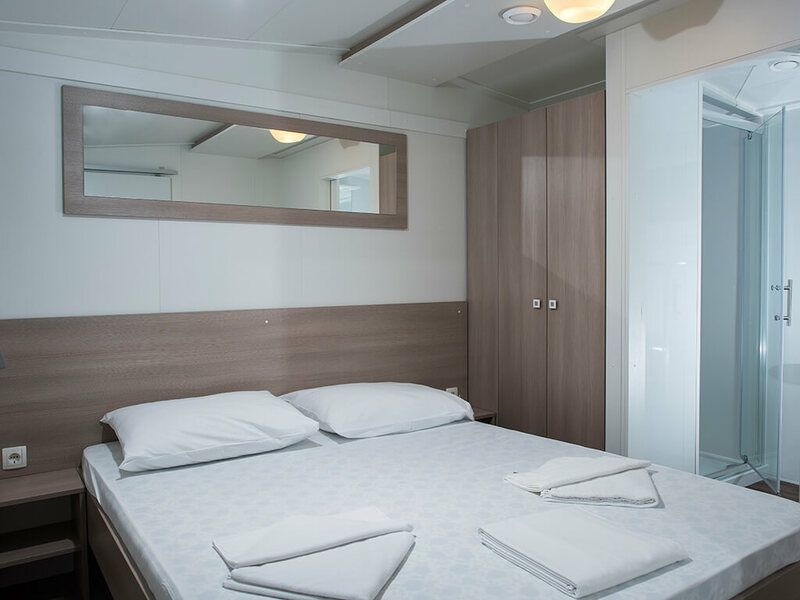 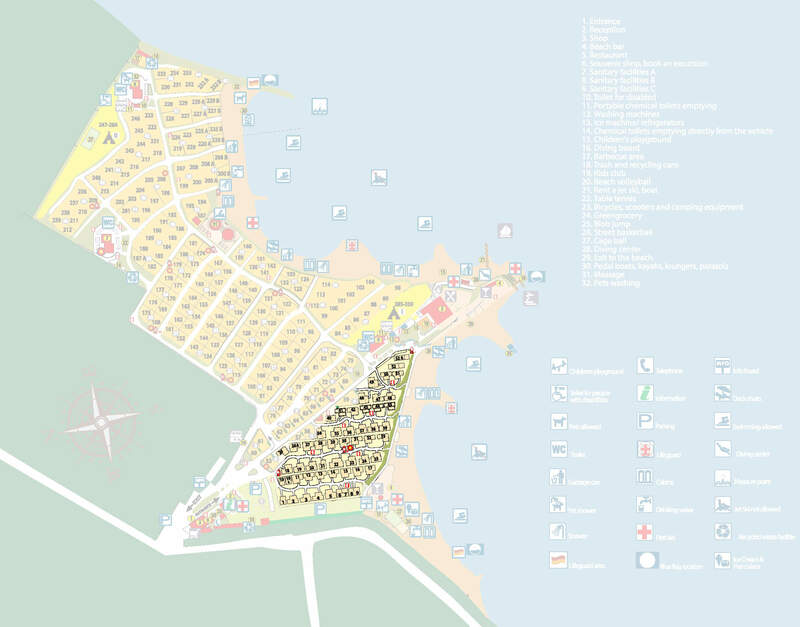 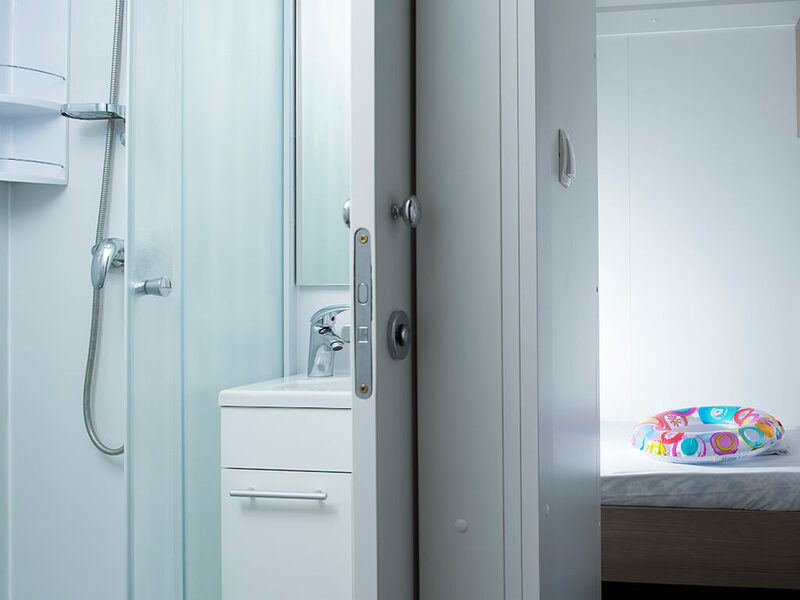 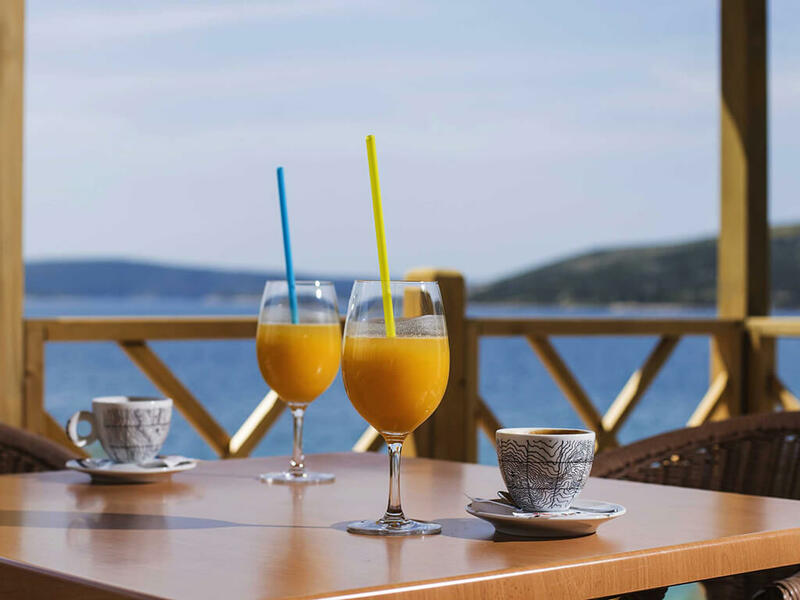 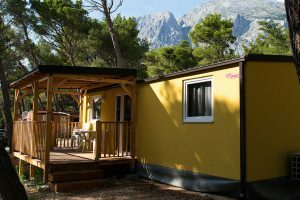 The mobile homes in Omiš are special for the sandy beach where they are situated, but also for their superb equipment – air conditioning, dishwasher, oven and hydromassage tub on the terrace are just a part of their equipment. 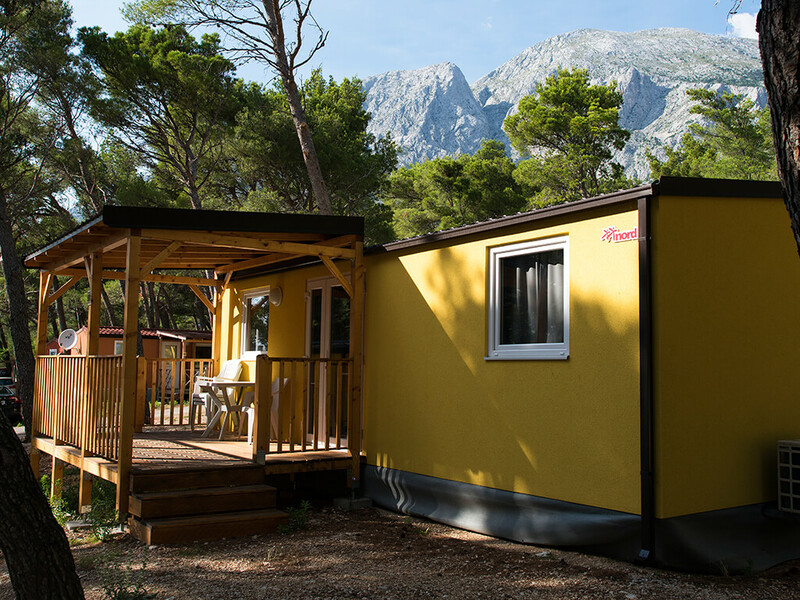 Have a go at a different type of holiday and indulge in a new experience at any time of the year. 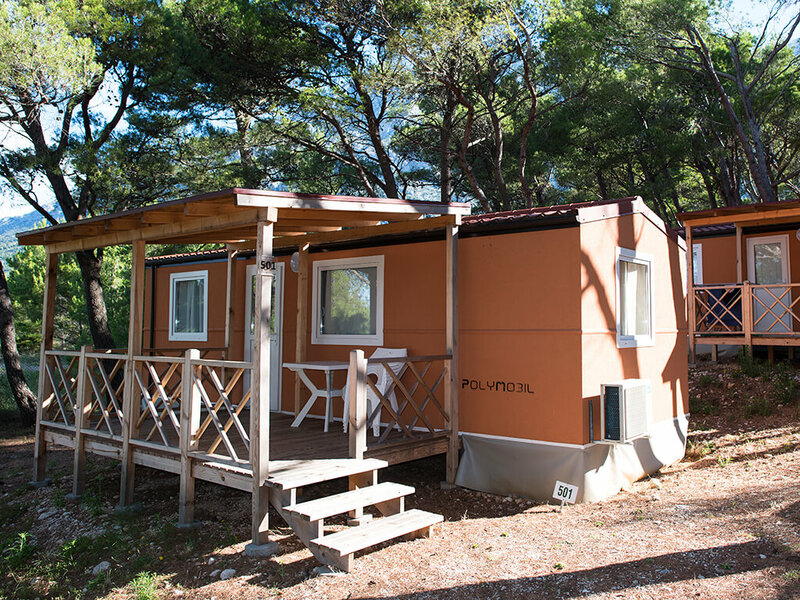 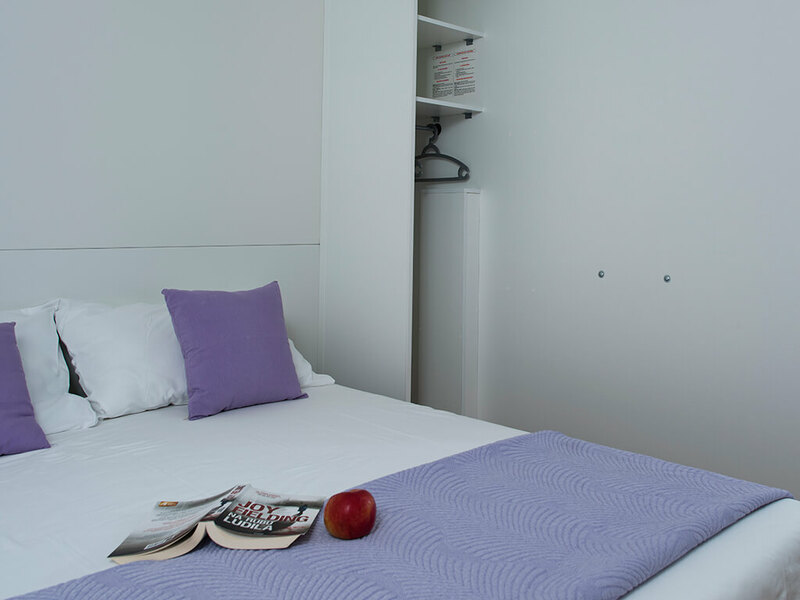 Choose mobile homes in Split for stays in summer and spring, but also in winter! 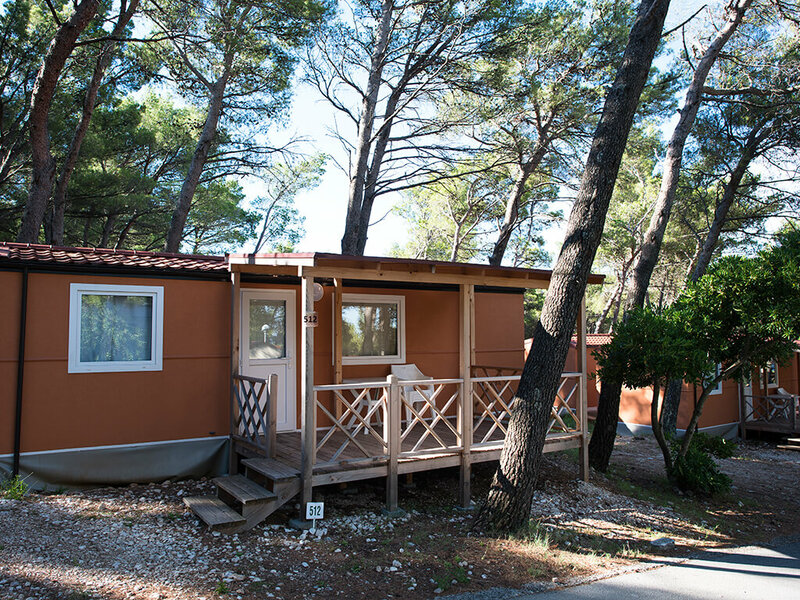 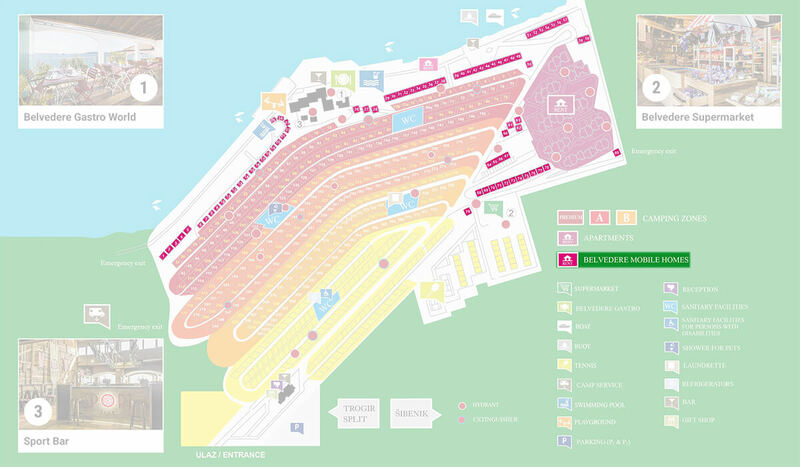 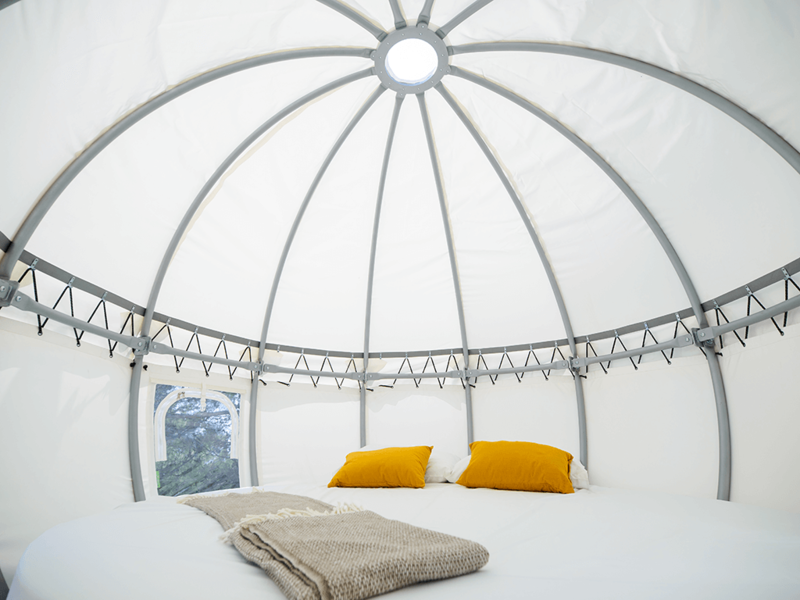 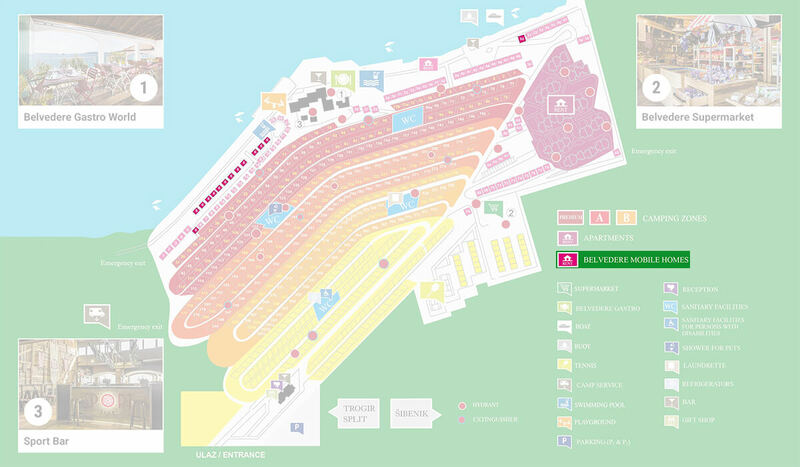 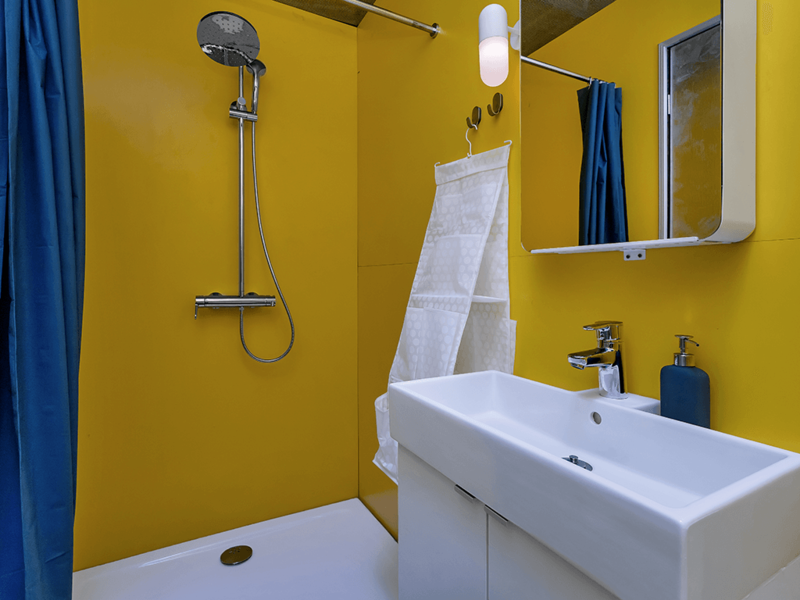 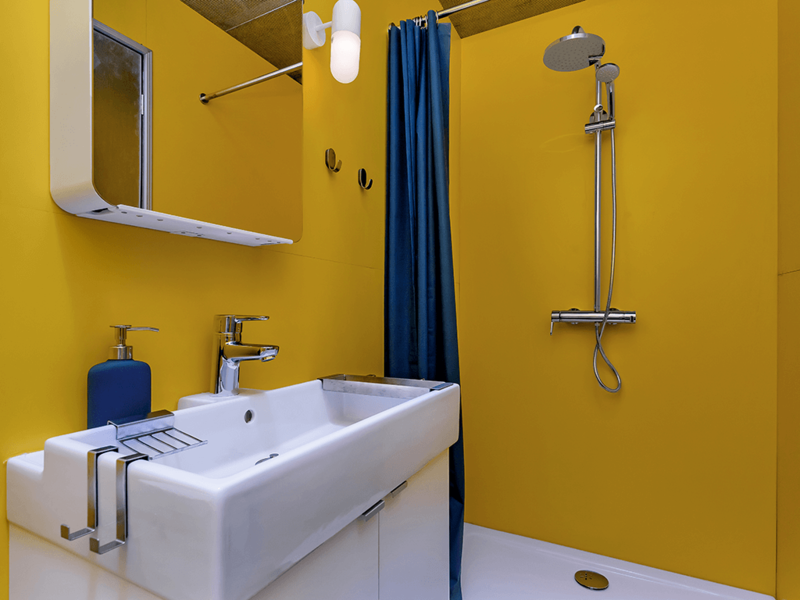 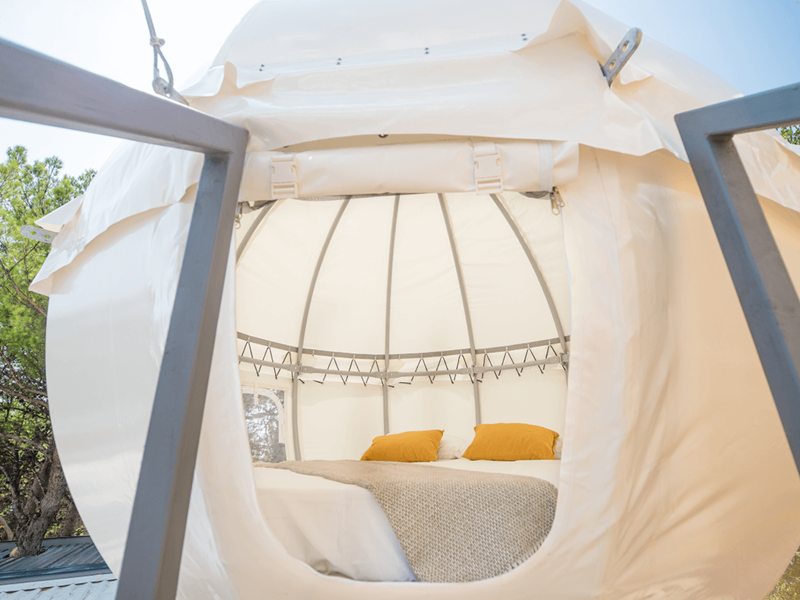 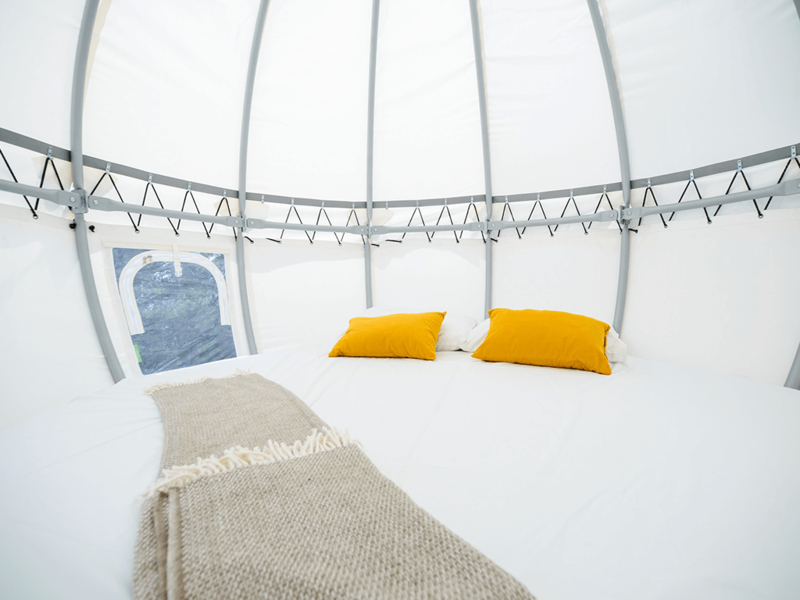 Check our list of mobile homes and get away for a weekend to warmer areas even in winter!